Welcome to our Website Awards for best free WordPress themes. We are hosting this award to showcase the best websites to visit when you’re looking for a free WordPress theme. The level of quality, design and creativity on the nominated websites is amazing. It is a privilege to have this variety of websites and themes to choose from. Maybe you are opening a brand new website, or want to replace your old theme, but do not have the means to get a premium design. 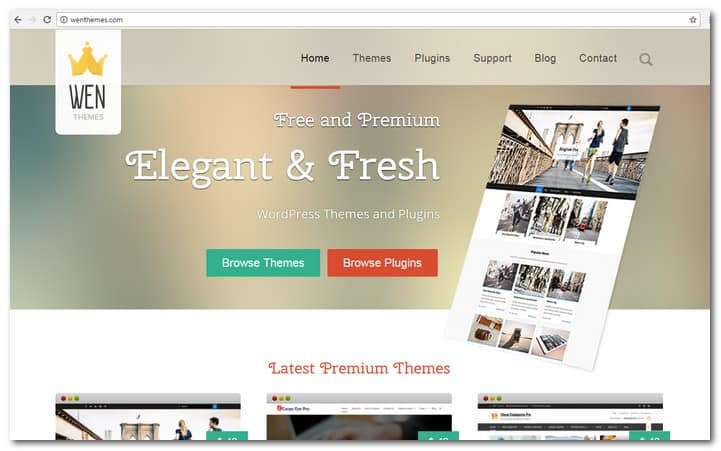 A high quality free WordPress theme is a good choise for you. WordPress is the undisputed leader in CMS. Getting your website build on WordPress carries a lot of advantages. The themes are easy to setup and ideal for a variety of purposes such as blog, education, personal portfolio and even corporate websites. Free WordPress themes however, especially those that are high quality, can be hard to find. 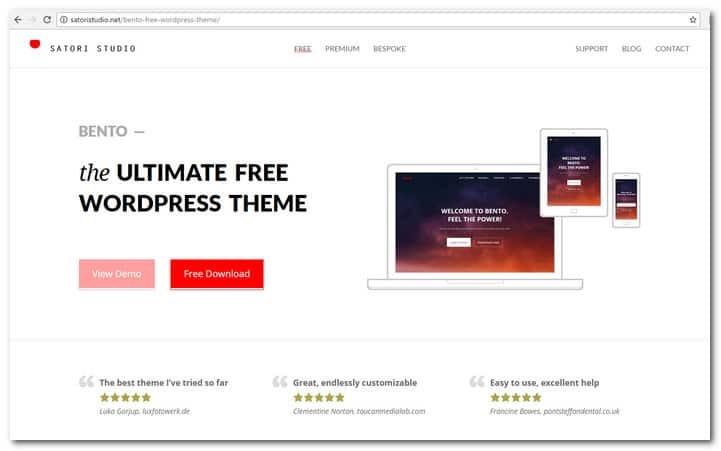 With the huge number of websites offering free themes, it is time consuming to find the ones that will give you the best choices. So we decided to do the hard work for you. 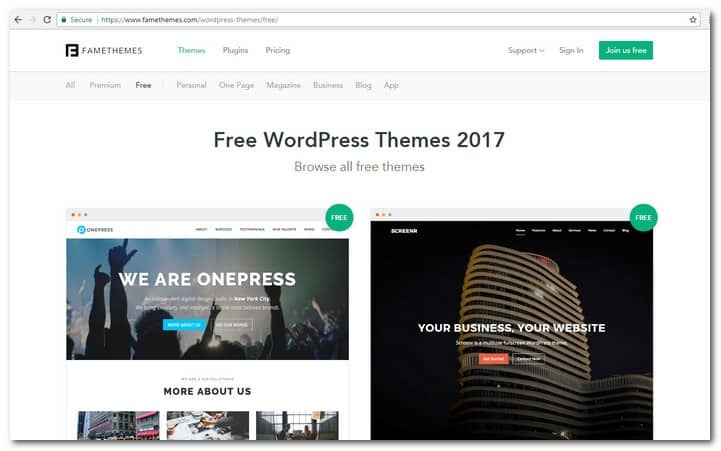 We collected a list of 100 websites and blogs where you will find top free WordPress themes of high quality. We have been looking for themes that provide the features you need to build a strong online presence. The blogs also provide useful tips and information that will allow you to create and run your website with ease. 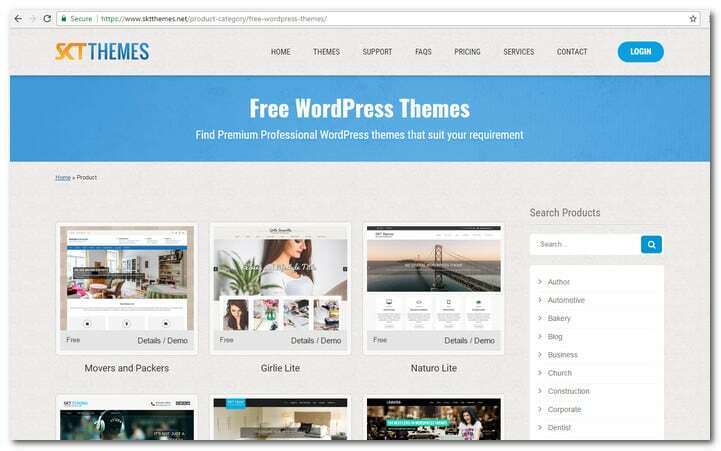 So browse on the list and find the best free WordPress theme for your next online project. DessignNET started in 2010 and they have more than 97000 happy users. 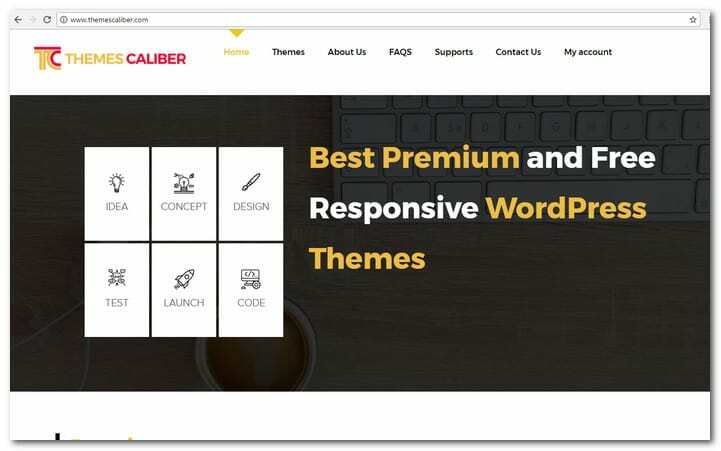 Their free and premium WordPress themes have been featured on well known design blogs like Mashable, WPMultiverse, Smashing Magazine and Creative Bloq. You will find a good selection of responsive themes here that you can download for free. 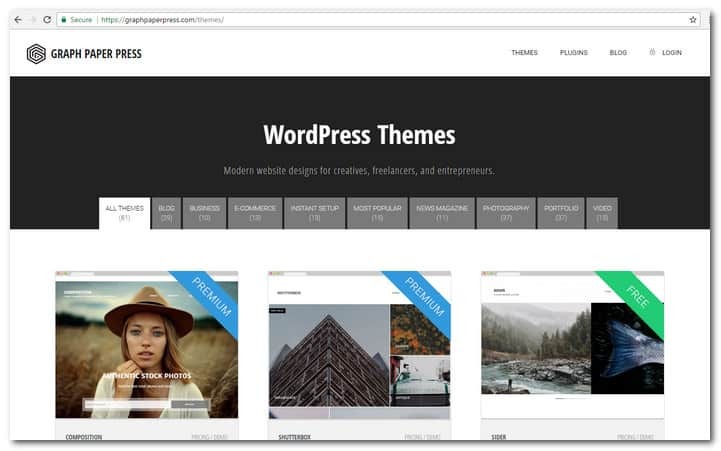 The WordPress themes that are offered by the website are under GPLv2 License, which means that you can modify and use your theme on as many websites as you want whether personal or commercial. You may even rebrand, redistribute or resell the themes. 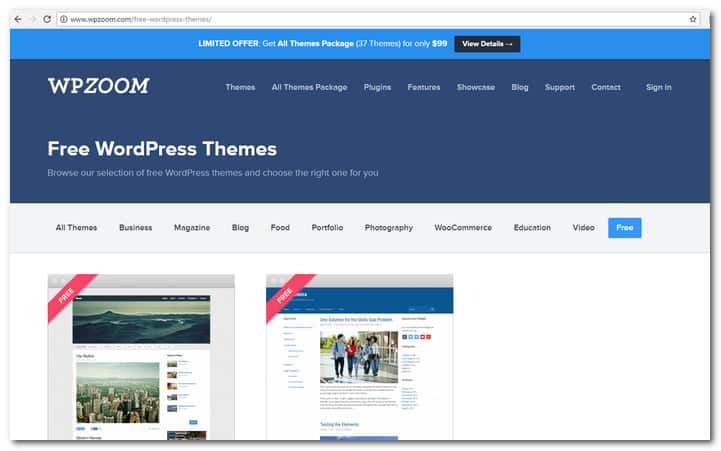 SM Themes provide a huge array of free WordPress themes that are all professionally made. There are 16 themes in the site catalog at present that were downloaded millions of times. Each theme provided by the website is unique, with plenty of useful editing functions and plugins. Topics related to editing can be discussed in the site forum. You can also get help from developers directly and forward questions or feedbacks through a feedback form. Nimbus is a creation of Kendall and Evan Scoboria. They are web development and graphic design specialists with years of experience in working with clients. 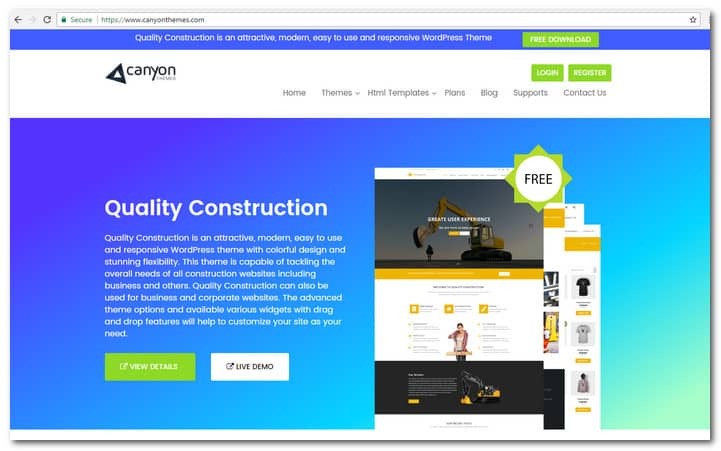 The aim of the website is to create a marketplace where visitors have access to a plethora of stunning WordPress themes that come with the best support. 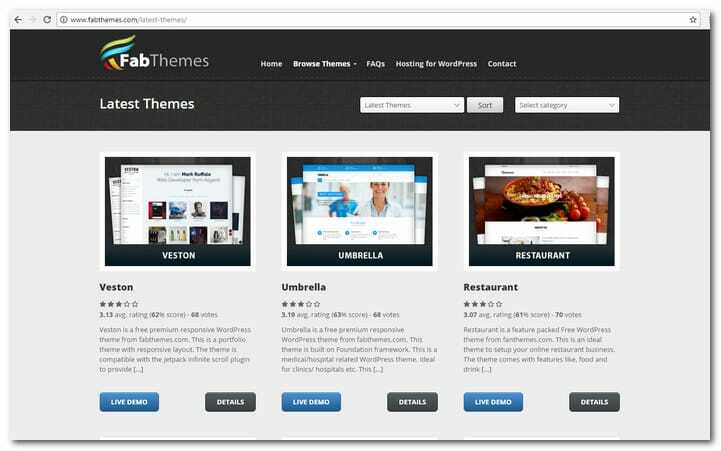 Nimbus Themes are used by more than 500,000 webmasters all over the world. 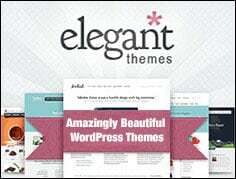 My Theme Shop provides 140 stunning themes and plugins. It has customer showcase, blog, news updates, WordPress 101, features and benefits as well as premium WordPress themes link. 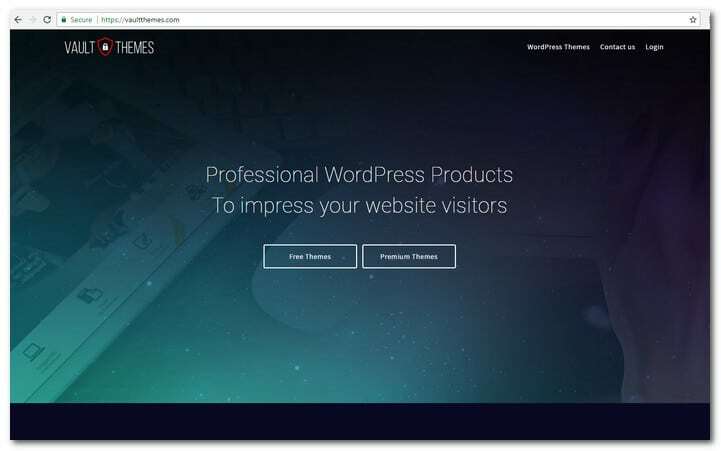 Other useful links that you will find on their website include WordPress Blog Themes, WordPress Business Themes, WordPRess eCommerce Themes, Free WordPress Themes, Magazine WordPress Themes and Premium WordPress Plugins. CSS Igniter provides fresh WordPress content on a daily basis. Aside from free WordPress themes, they also provide stunning premium designs at affordable prices. For just $59 you will have limitless access to CSS Igniter themes catalog. 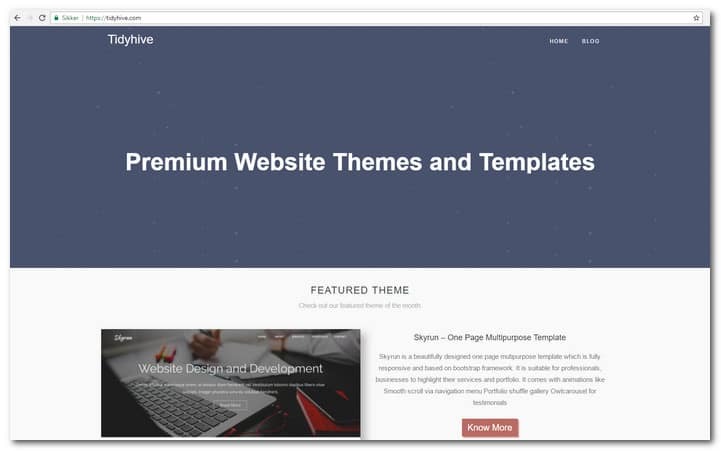 You will also find their premium themes on ThemeForest. They have a blog too. It is organized into different categories that include CSS Igniter, Deals, Discontinued, Freebies, Interviews, Monday’s Front End Quicktips, New Releases, Opinions, Plugin of the Day, Plugins, Tutorials and Updates. 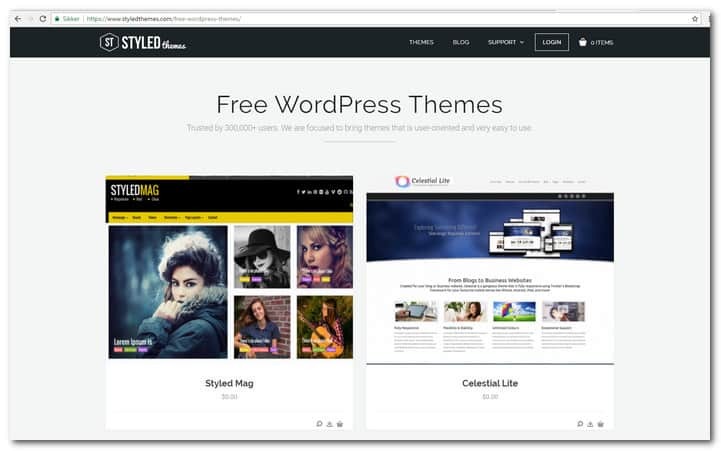 Styled Themes provide premium and free themes for WordPress that will take care of all your quick web development requirements. They have more than 18 themes that are ideal for corporate, portfolio, eCommerce, personal/professional blogs and magazine websites. If you need support, they are available through email and support forum. They also provide support even for their free themes. Hash Themes follow the WordPress guidelines in creating their themes and plugins making them very secure. They implement the most modern technology to ensure that their themes are not left behind by the competition. A lot of configuration options are available through the Customizer so there is no need for coding knowledge on your part. Theme Expert is a product of self confessed web nerds. Starting as a not so serious project, Theme Expert quickly became noticed for its eloquent designs. The main goal of the website has always been to transform the very complicated realm of websites into a simple but exquisite reality, which is also friendly to users. The team behind Theme Experts is determined to provide the most modern designs to its users. 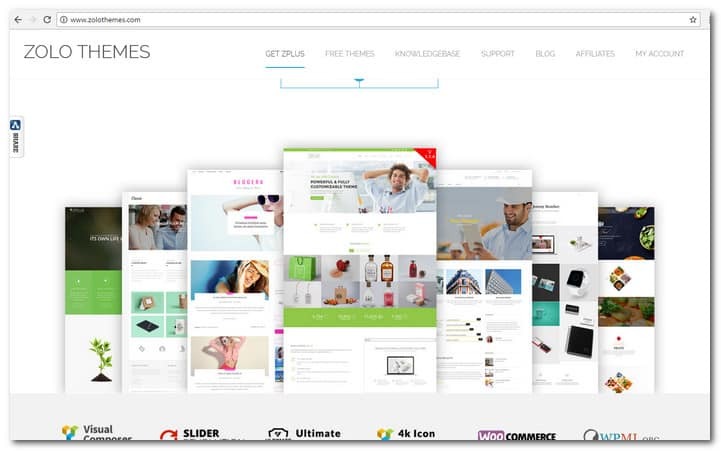 Access Press is a WordPress theme store where you can find stunning premium and free designs. Aside from WordPress themes, Access Press also provides plugins that were molded by people with plenty of experience. What is more, they provide round the clock support all days of the week even for their free themes. All themes provided by this website come with options and features that can be customized easily, even without coding knowledge. Acme Themes is composed of expert developers of WordPress. They provide the best responsive premium and free WordPress themes. Each theme is provided with great support and other services. Theme support includes presale question, documentations, customization, live chat, support forum and frequently asked questions. 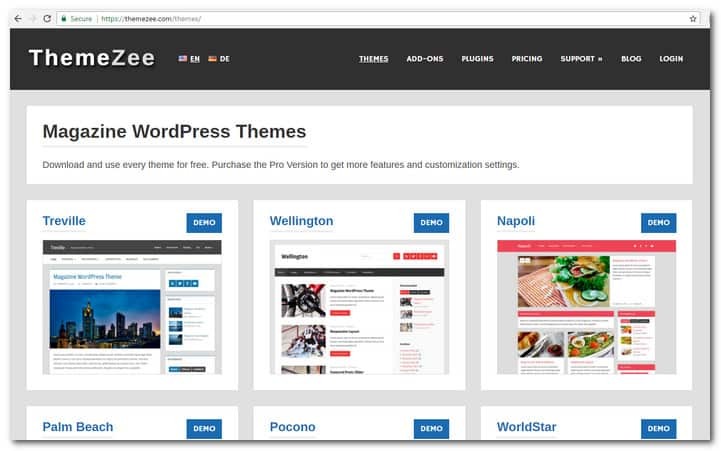 At present, there are 12 free WordPress themes available on their website. 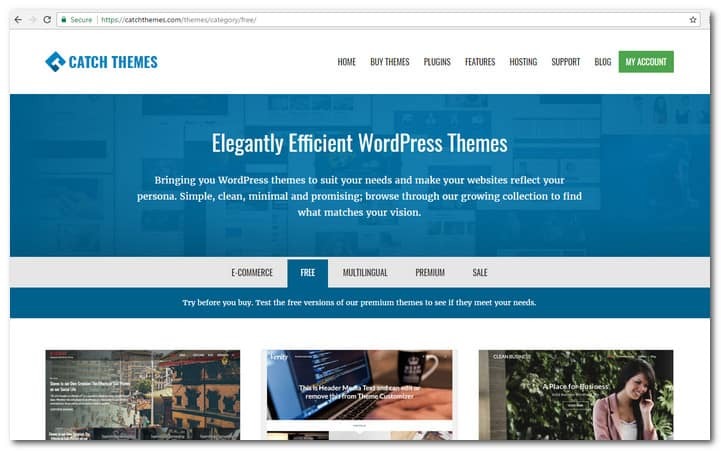 This website has been providing WordPress themes since 2013. Each theme is guaranteed to be well designed, user friendly and updated regularly. A Themes provide very fast support. 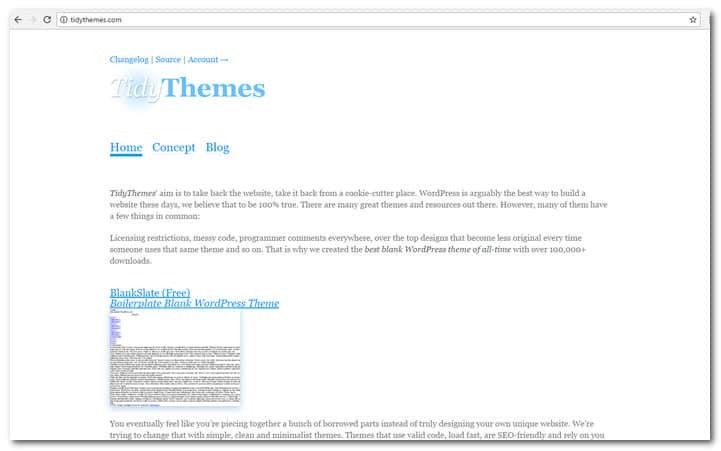 A Themes started out with free themes, which can be found on WordPress.org. 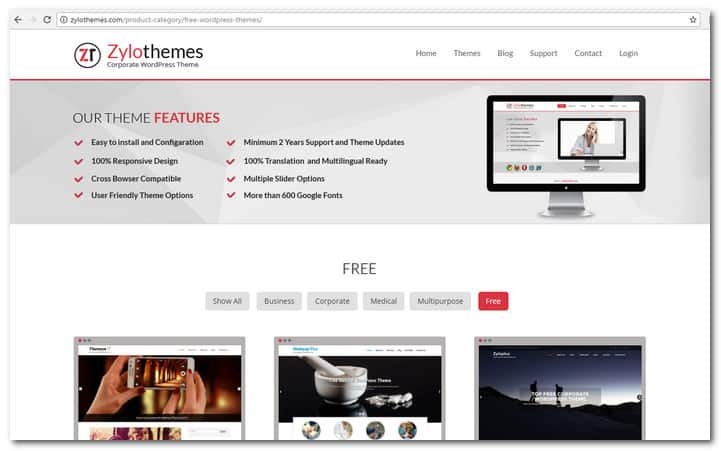 The free themes became popular quickly so they released more themes. However, since users never ceased to ask for more features, A themes provided premium themes as well starting with Alizee Pro in 2014. 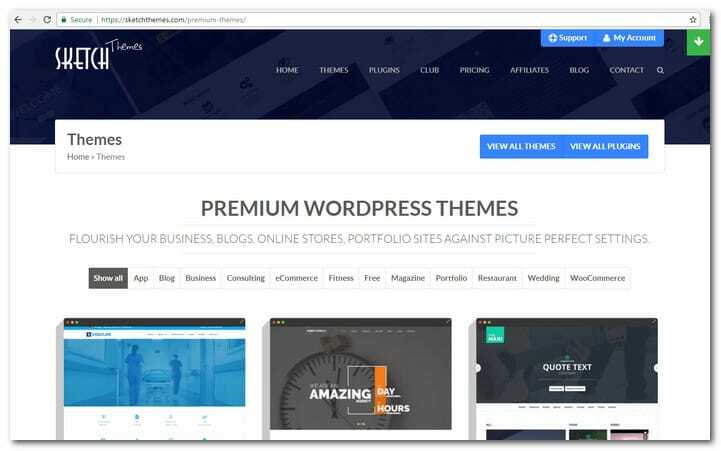 WP Zoom is dedicated to provide both businesses and individuals with WordPress themes and plugins that have the ideal balance of form and function. The themes provided by WP Zoom have been utilized by thousands of entities from 115 countries including MIT, Barnes and Noble, Bloomberg, Groupon and Citroën. 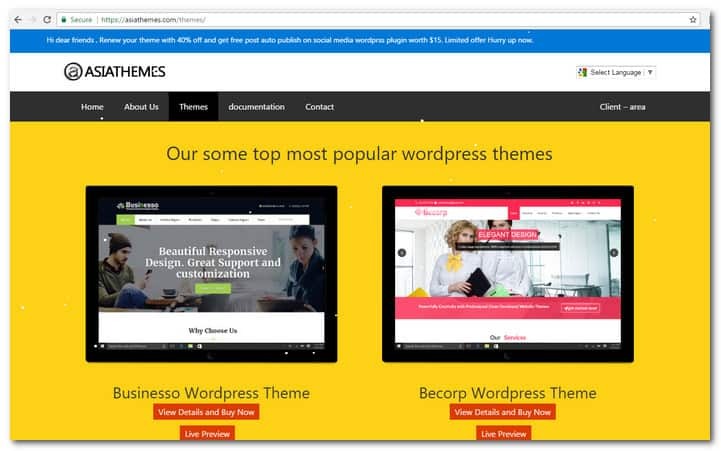 Themes from WP Zoom have been used to share ideas, grow businesses and transform the internet into a better place. Colorlib started in 2013 as a learning experiment. It soon attracted an estimated 300,000 page views every month mostly coming from UK, US, Japan, Germany and Australia. In less than a year, Colorlib themes have been downloaded more than 200,000 times. 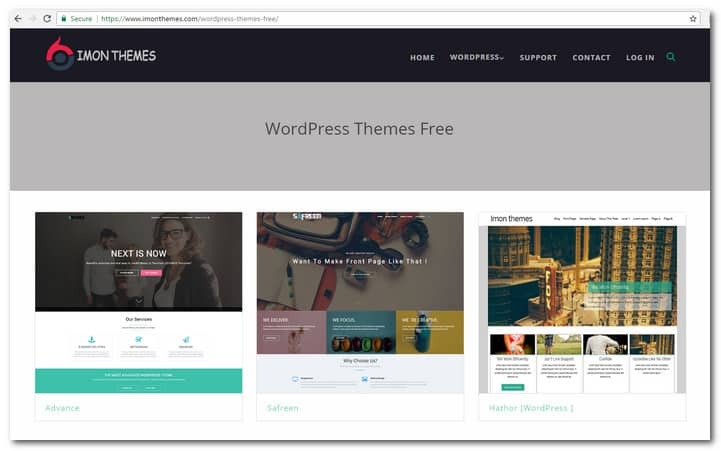 The website aims to contribute to the WordPress community by turning out free themes for WordPress. However, everybody should expect premium themes and features also. 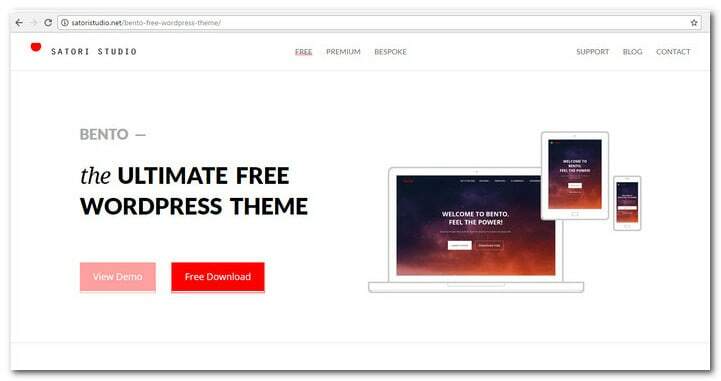 SKT Themes has some of the best free responsive WordPress themes on the internet. Every theme is GPL based and has a modern ambiance. They have customizable link and button colors with slider images that can speak more than mere words. SKT themes also have images everywhere, which can be customized easily. 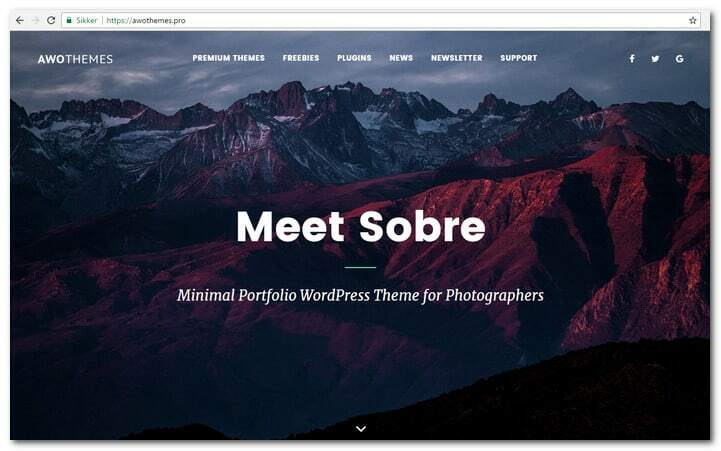 Thus, it is easy to create a unique website with their themes. Every SKT theme also has plenty of features and social icons. 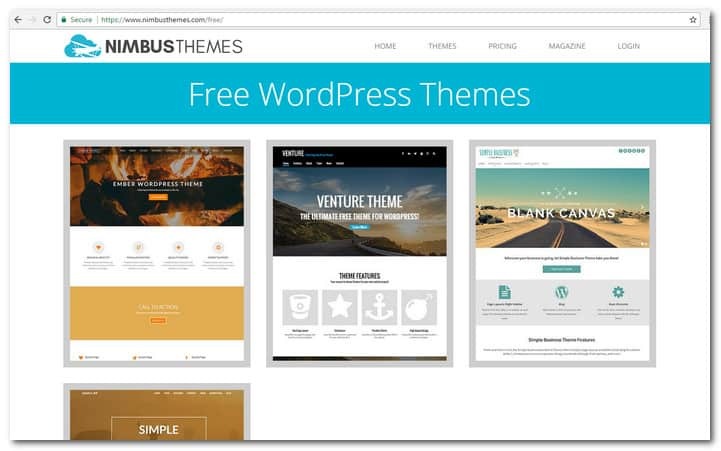 Fab Themes is where you can find premium quality and stylish themes for WordPress. Although free, all themes come with theme options that will allow you to customize different theme settings. The theme footer files are not encrypted so they are transparent and clean. Every Fab Theme can be used with confidence. 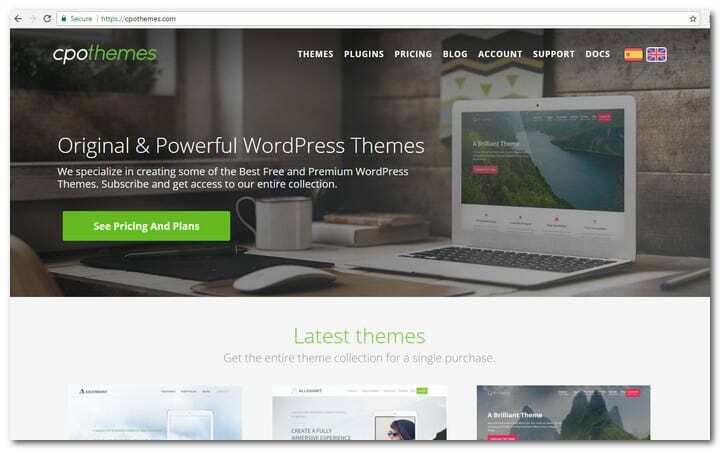 Theme Isle is a theme store that provides well made and modern WordPress themes for free. The idea is to not allow WordPress themes and working with clients boring. 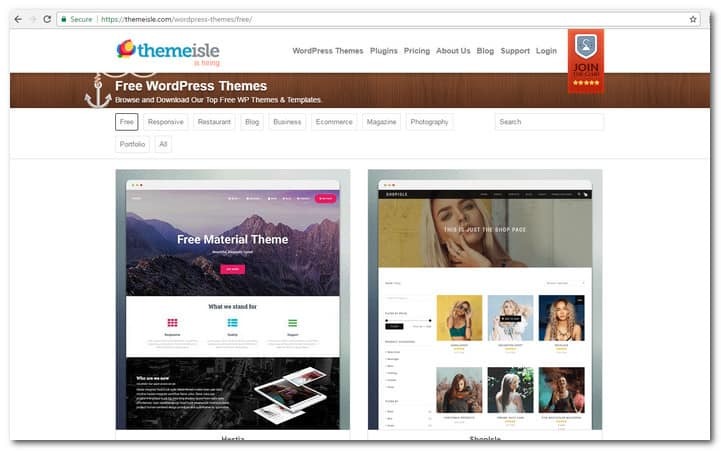 The team behind Theme Isle has a vision that in the future, every website out there will be powered by WordPress. Although everybody does not agree with this idea, they started providing user friendly themes and designs that can be utilized by everybody. 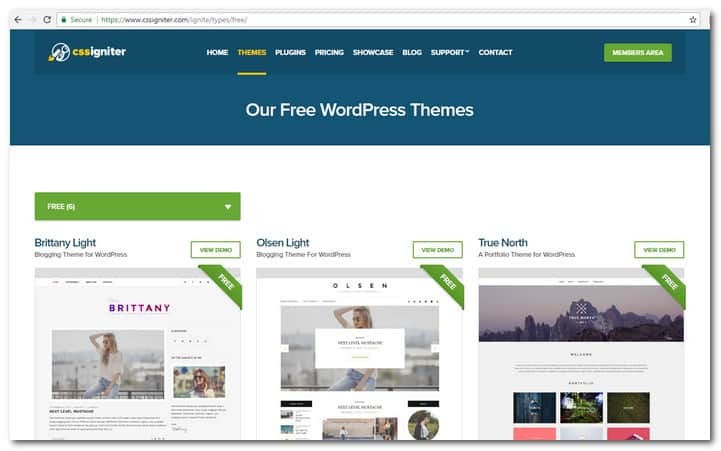 If you are looking for a WordPress theme that has all the important features for growing your website nicely, come to Just Free Themes. 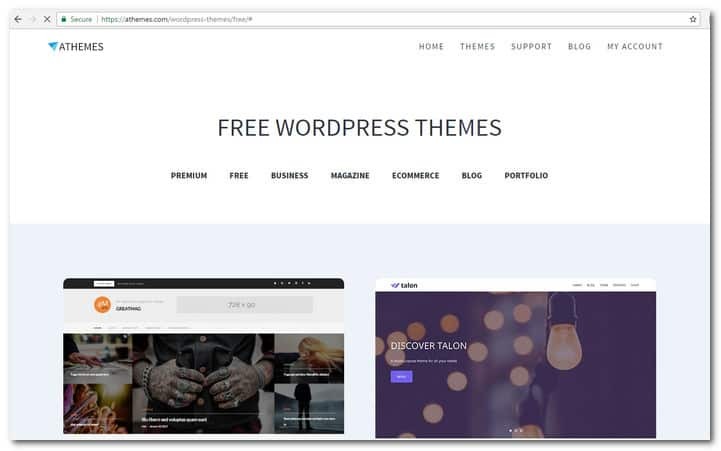 The mission of this website is to share the best free themes for WordPress that will make your website stunning and help your business expand at the same time. Quality is the main consideration for every free WordPress theme features at Just Free Themes. Theme Grill started in February of 2014 in Nepal. 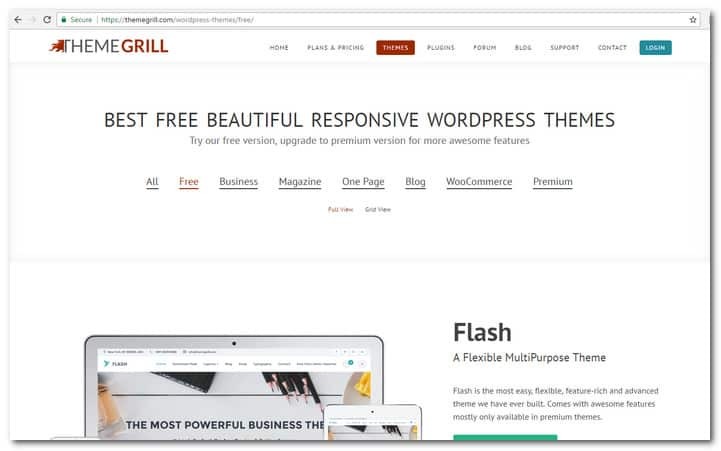 The WordPress themes provided by Theme Grill have a professional design that will take your website ahead of the competition. The focus of their work is on clean code, elegant design and simplicity. Theme Grill also has a blog page where you can find useful resources and categories that include beginner’s guide, plugin collection, premium themes, ThemeGrill news, themes collection, tips and tutorials, WordPress coupons and deals, WordPress hosting, WordPress reviews, WordPress security and more. 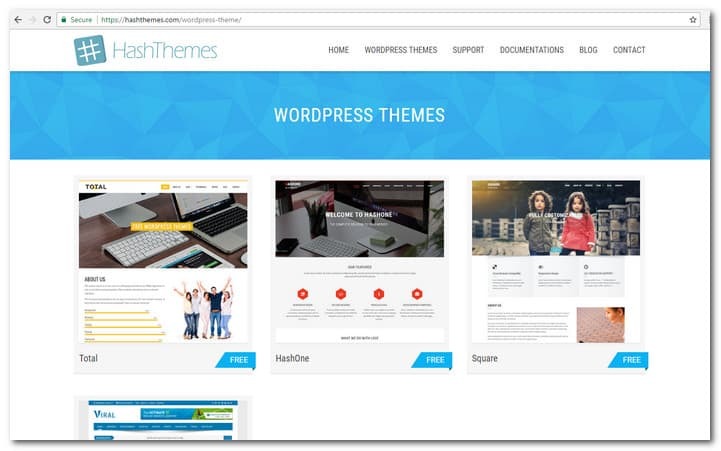 Sketch Themes a principal WordPress product development company that provides premium themes and designs. It is regularly engaged in research and innovation, creating a lot of ready to use WordPress products that are friendly to users. 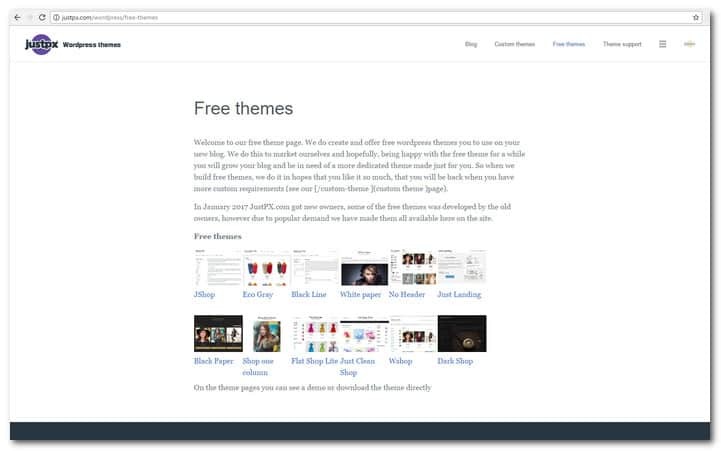 As the years go, Sketch Themes developed its niche to include solutions for all kinds of business. The core idea of every Sketch Themes design is to nurture and enrich the business of their clients with expert functionality and design. 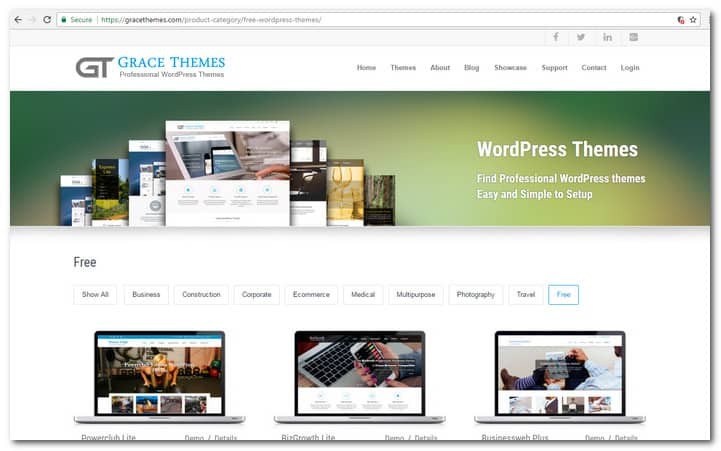 Grace Themes specializes in making professional and stunning WordPress themes that will help you create websites even if you do not have knowledge of codes. The goal is to create amazing themes that are quick loading, responsive and SEO friendly. Grace Themes has a friendly support that works fast. Every issue about compatibility and customization is resolved as quickly as possible. In addition, all theme designs have GPL license that will allow you to use theme for private or commercial purposes on as many websites as you like. D5 Creation is among the leading extended, responsive and free WordPress theme developers in the world. Every developer with the website comes from the disadvantaged portion of society that has created a name for himself after a difficult struggle. A considerable part of their revenue is allocated for the education of disadvantaged students and children. 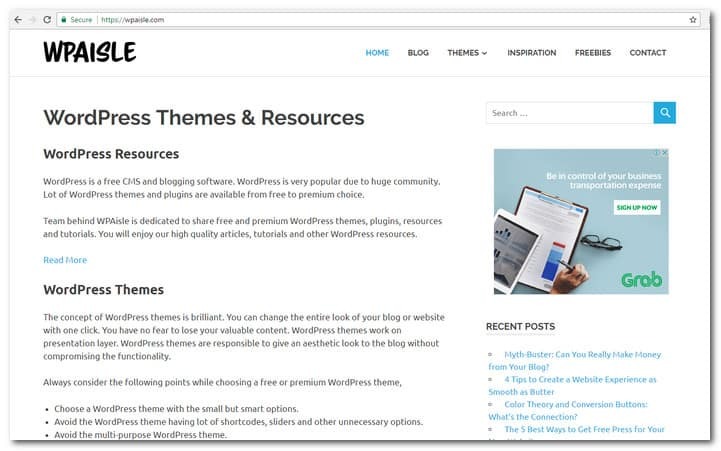 A number of D5 creation themes have been included with the top 5 most popular themes at WordPress.org. 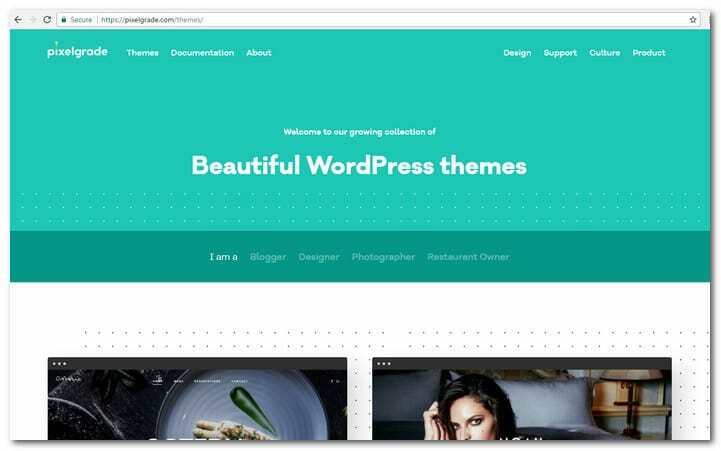 Every theme is created with the best Coding and Designing Standards of WordPress. 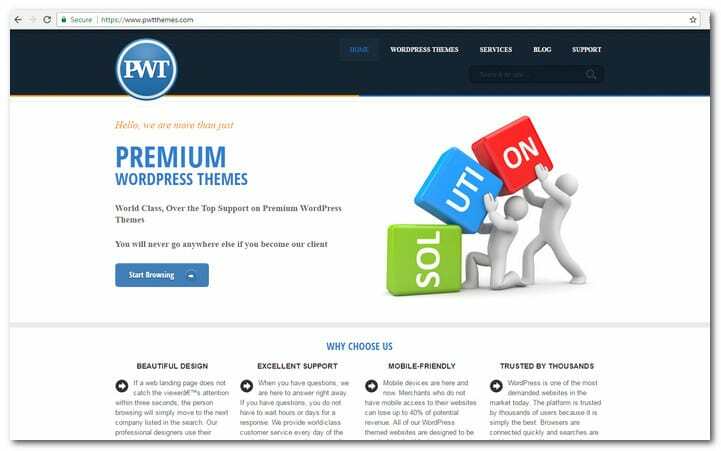 I Love WP provide clean, fast, safe and professional themes for WordPress that work. 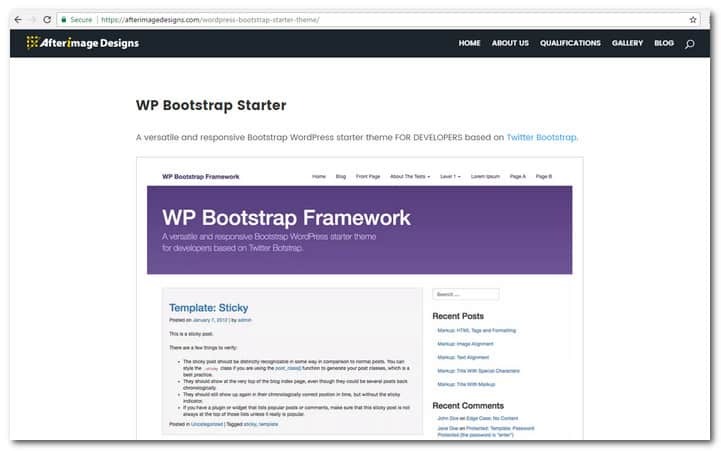 Every theme comes with professional design and is included in the WordPress repository. That means they are safe to use. We provide professional, clean, safe and fast WordPress themes that just work. Aside from WordPress themes, I Love WP also provides WordPress plugins. They have a blog, WordPress tutorials and a Contact Us page. 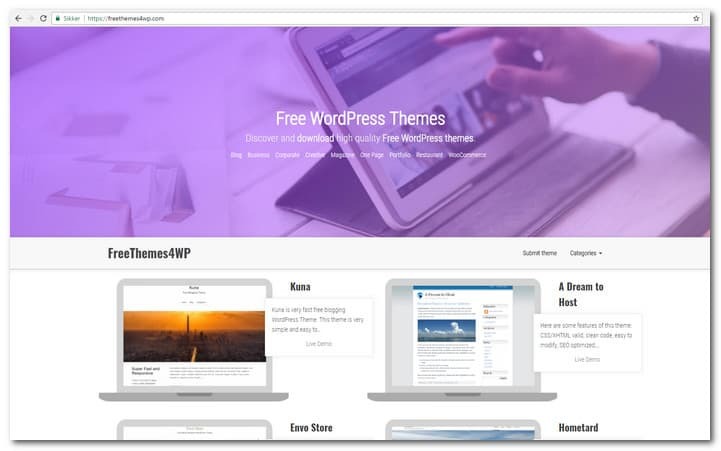 Kopa Theme provides WordPress themes that have outstanding support. The themes are fully customizable with lifetime updates that are provided for free. Every Kopa theme has a theme options panel built into it, which will allow you to customize all parts of your theme quickly. They are fully responsive as well so your website can adapt to all screen resolutions and sizes. 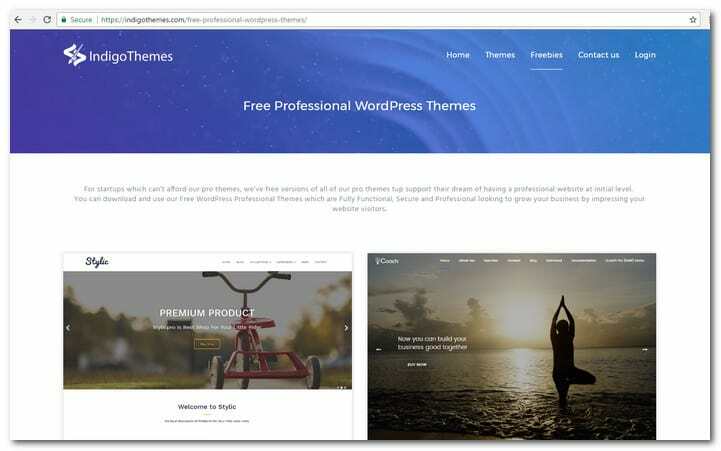 Indigo Themes premium theme designs but if you are a startup that cannot afford a WordPress theme yet, you will find a free version of every pro theme provided by the website. The website a vertical market of Ommune IT Solutions Pvt Ltd, which is a major WordPress and web development company found in India. It is composed of dedicated WordPress designers and developers that are constantly trying to create the best WordPress themes for your niche. ThemeZee started in 2010 as a part time project. Although it has existed for several years already, the website is still run by one man. That means that he takes care of almost all tasks such as plugin and theme development, technical support, business operations and online marketing. The working philosophy of ThemeZee includes best practices, open source, working remotely and simplicity is the key. 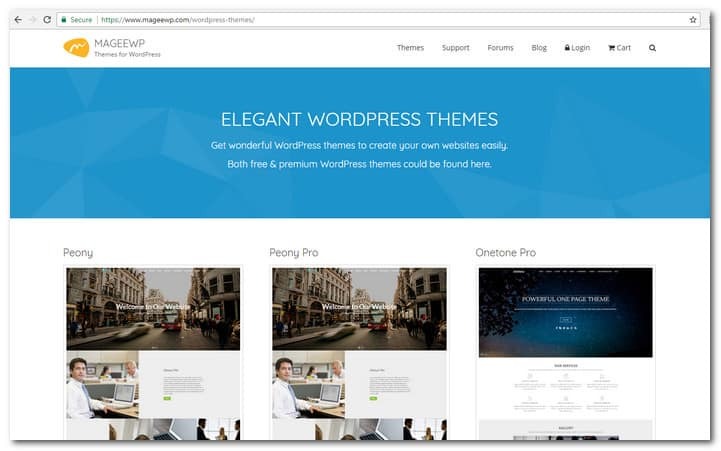 MageeWP creates great WordPress themes for amazing presence online. Every theme is coded with the best practices for visual excellence. Therefore, you can trust them to provide a unique look and feel to your website. The website includes a support page, forums, blog, login and cart. If you have any issue with their themes, you can contact them for a comprehensive documentation and tutorial video. Edward Caissie is a WordPress fanatic, designer and developer. He is also a chess fan, guitar player, photographer and lead happiness engineer. The website provides several themes in the WordPress repository that include Desk Mess Mirrored, Ground Floor, Multi, Nona, Shelter, Shades, Opus Latere and Opus Primus. The website includes several categories. These are WordPress, Chess, Coffee, Family and Friends, Darts, HE, Musings, Hashimoto’s Encephalopathy, News, Photography and Philosophies. 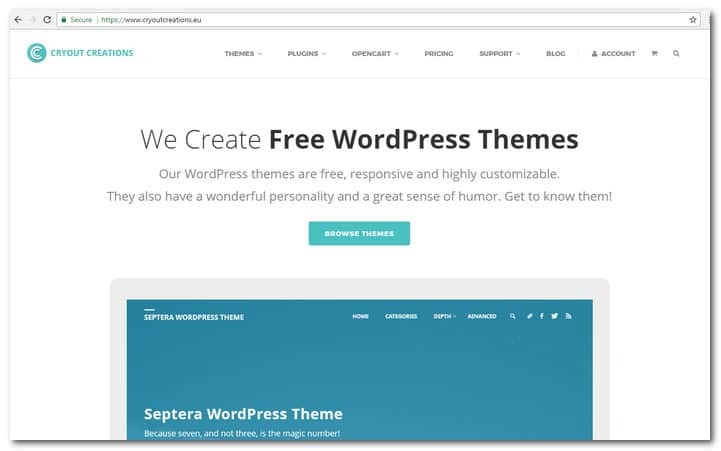 Satori Studio aims to provide premium WordPress themes at no cost. Every theme comes with robust features that do not prevent easy customization and use. The website provides a blog, contact form and support. Every theme provided by Satori Studio comes with drag and drop content builder, mobile friendly design, unlimited color combinations, eCommerce optimization, one page design, speed and SEO, Ajax post loading, boxed and wide layouts, advanced font settings and other useful features. The people behind Happy Themes are a global team. They have more than a decade of experience in web design combined with 8 years on WordPress theme and plugin development. The website categories include news, new themes, and tutorials. Happy Themes also provide information about the company that includes a blog, affiliate program and About Us. For support, clients can make use of the Contact Us, Presales FAQ and Support Forum page. CodeinWP provide service for businesses, freelancers and agencies. It concentrates on WordPress. Working mainly with freelancers and agency partners, it acts as a remote development team. Their premium themes are not the cheapest but they are fully transparent and have worked with sophisticated businesses like Qualtrics. 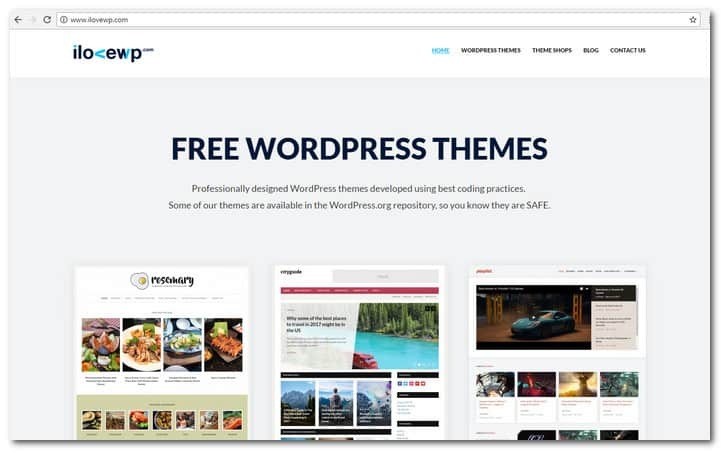 CodeinWP has also released themes approved by WordPress.org. If it is your first project with CodeinWP, you will have to pay half upfront. You then have to send your files and allow them to do the magic for you. 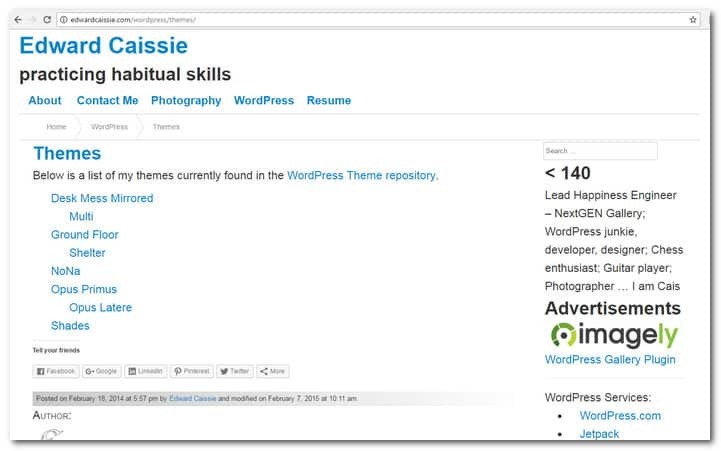 Rara Theme operates from Nepal and provides WordPress themes that you can use without coding knowledge. That means you will have complete control over your website without touching any code. If ever you need help, they have a dedicated and friendly support staff that is always ready to assist you with any issue. Create an amazing experience online with Shaped Pixels. They design WordPress themes that provide exceptional world concepts. These include an amazing support that goes over user expectations. Every theme released by Shaped Pixels is easy to use but loaded with useful features. A customizer is included with every theme to make customization easy. Realizing that support is as important as the theme, Shaped Pixels also provide premium support so whenever you need one, there is always a hand available. 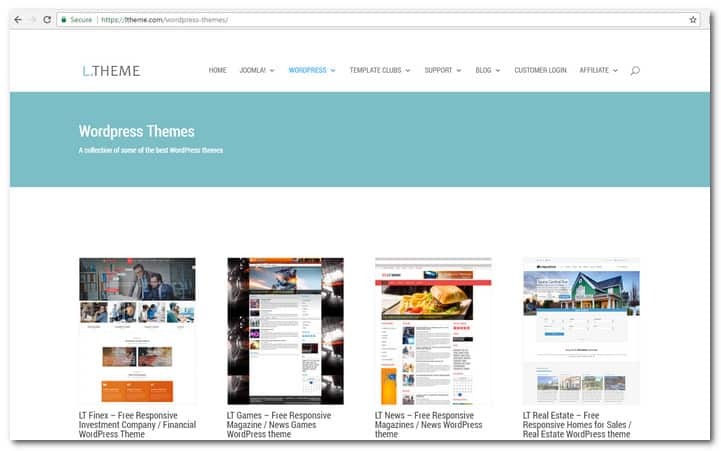 WP Isle is a blog website that provides a free WordPress theme. If you want to learn more about WordPress, you will gain a lot from this site. It provides numerous blog posts on how to have a seamless online WordPress experience. In addition, the site also provides freebies, useful links and a free online photo resizer. 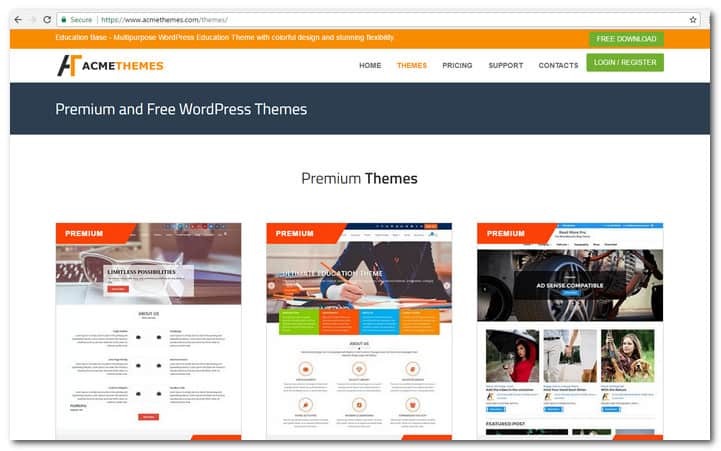 Awo Themes provides a number of great WordPress themes that you can download for free. 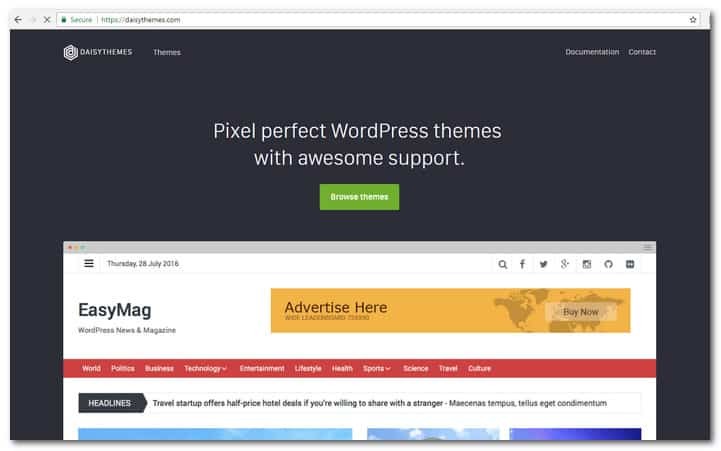 The website is quite minimalistic but it provides a number of useful features like freebies, plugins, premium themes, news, newsletter, and support. Awo Themes create their own themes and provides future updates and regular support. 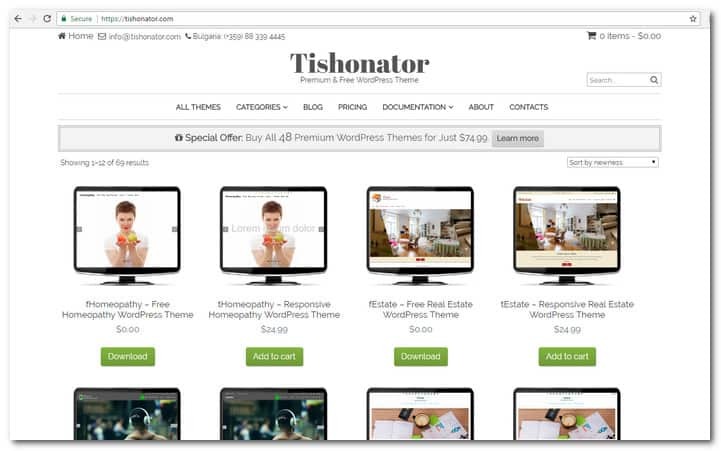 Imon themes have been downloaded more than 400,000 times. The exceptional themes provided by the website are all customizable and user friendly. 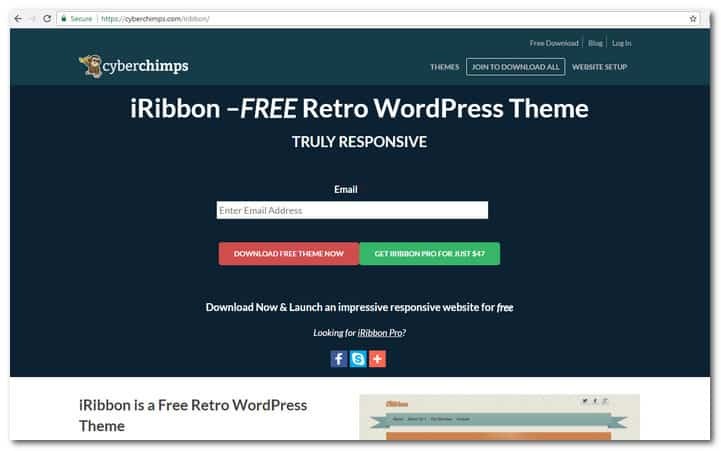 No code is required whether you are using a premium or free WordPress theme. 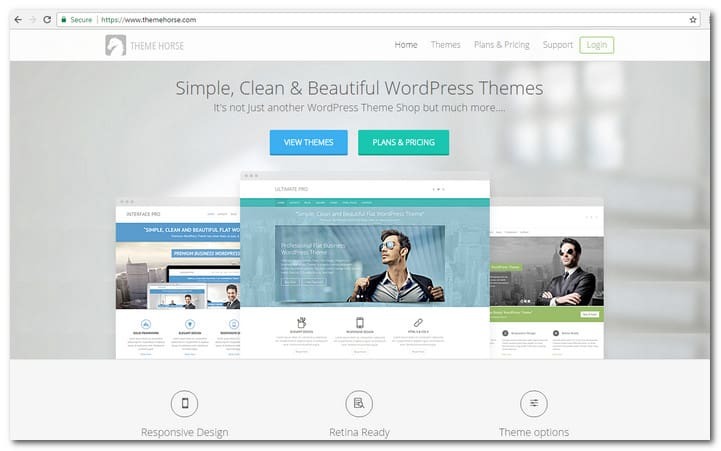 Imon Themes also provide round the clock forum support for both premium and free themes. They also have a 30 day money back guarantee so if you are not satisfied with your download, you can always take back what you spent. Alien WP is dependent on the core functionality of WordPress for speed, simplicity and smooth integration. 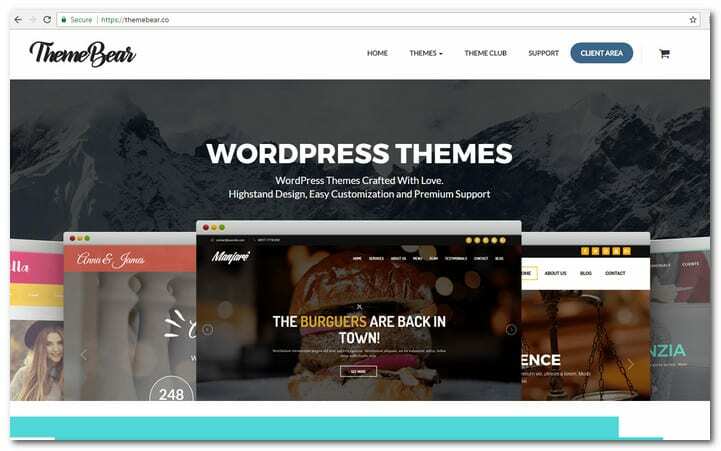 Started in 2013 by GalinSimeonov, Alien WP aims to create solid themes with best practices and WordPress coding standards. The themes provided by the website can be trusted to provide real value for their users. 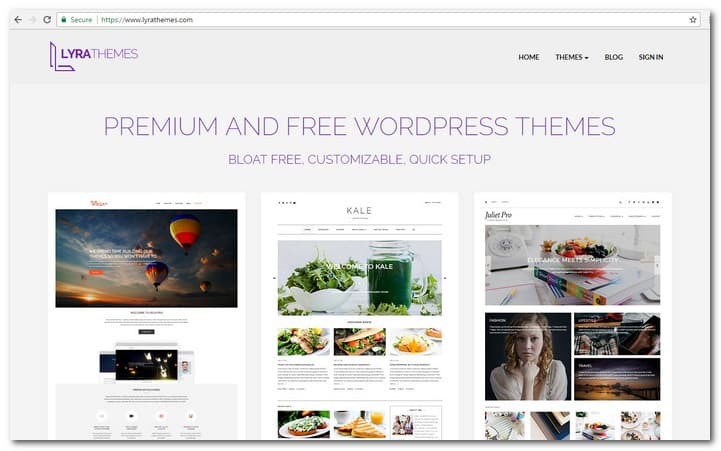 Slocum Themes is a sister of Slocum Studio, which is a primary WordPress design and development company located in outer Boston, Massachusetts. Slocum Themes are user friendly and perfect for business, blogs, eCommerce and marketers. The website provides a meticulous install setup service for WordPress. 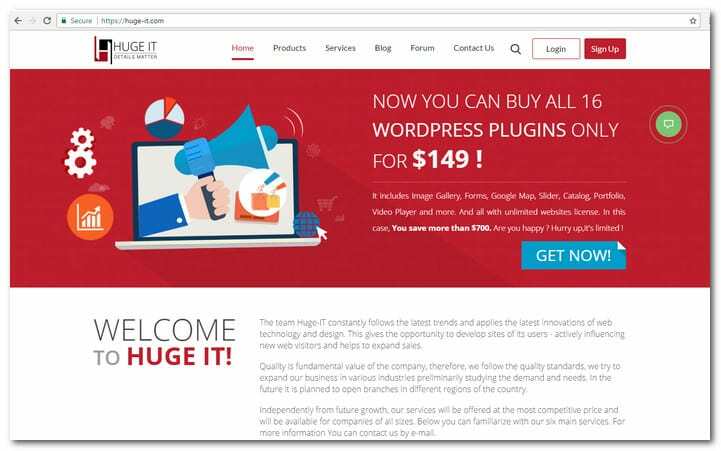 They will setup your theme, install a number of recommended plugins and provide you with a quick head start. if you are going to purchase a premium theme, they will provide you with email support and help desk. 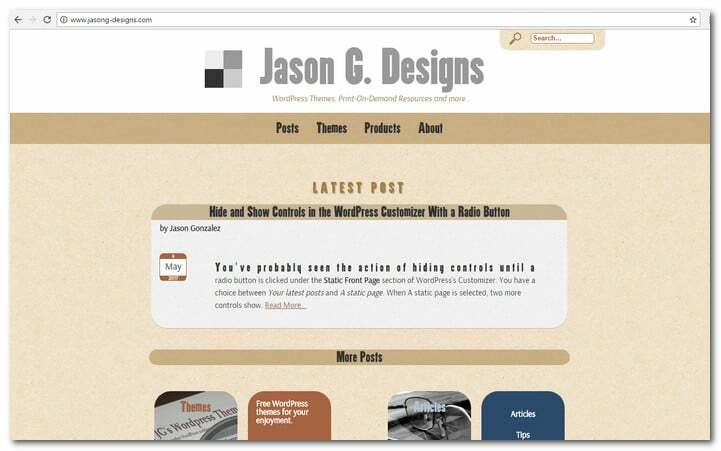 If you are going to use a free design, you will have access to a WordPress.org forum. Fancy Themes provide handmade themes for WordPress for professional bloggers. 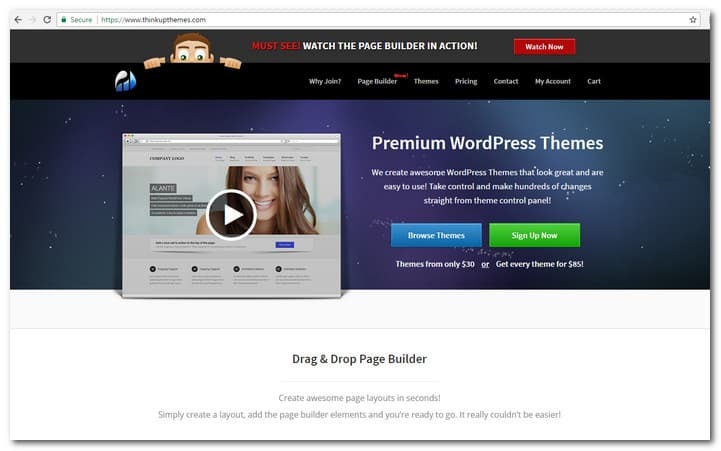 Access the website to discover why thousands of people are using Fancy themes and plugins for their websites. 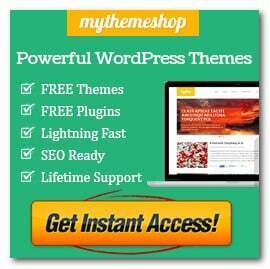 To gain access to 6 exceptional themes that they provide for free, you need to gain membership. The website provides helpful links that include Best WordPress Hosting, Landing Page Plugins and Free WordPress Themes. 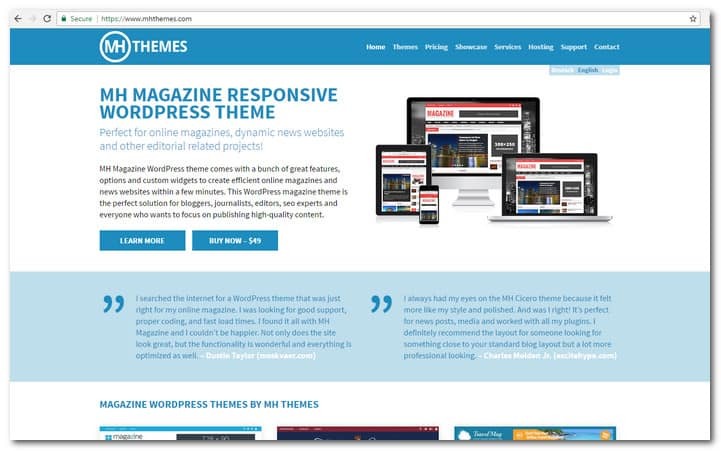 MH Themes provides the specialization for creating premium Magazine themes for WordPress that are full of features and ideal for online magazines, dynamic news portals and other editorial endeavors. 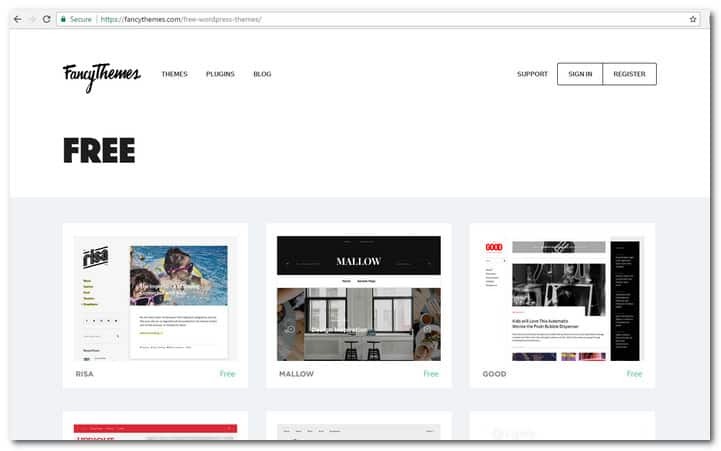 Because of the success of their flagship theme and the support of loyal customers, MH Themes managed to establish itself and become one of the best known source of WordPress magazine themes. Pro Travel Blogs help people create and nurture a perfect travel blog. The team behind the website spends most of its time creating travel themes while posting tips and tricks for building and managing an awesome travel blog at the same time. 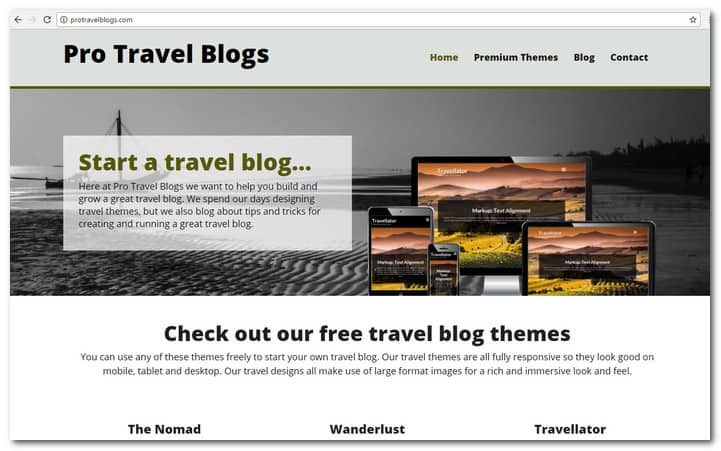 The website provides 3 travel blog themes for free. Every design is fully responsive with large format images for an immersive and rich atmosphere. Aside from free WordPress themes, you will also find travel plugins, hosting a travel blog and How To’s. 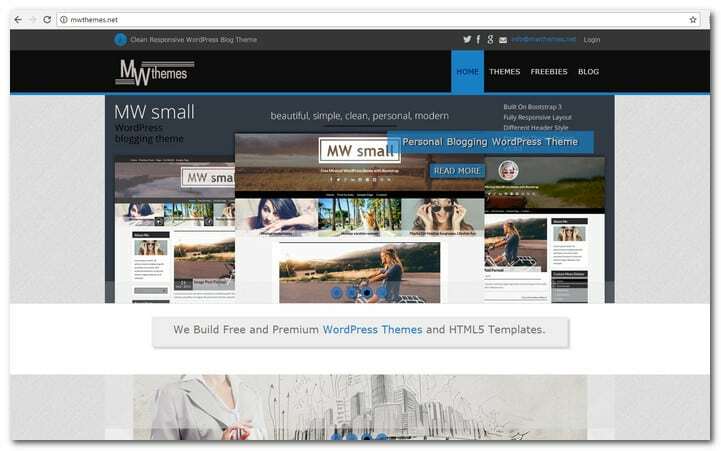 MW Themes create free and premium themes for WordPress as well as HTML 5 templates that have modern design, easy customization feature and translation support. They have a great blog page that features updates and advantages of MW themes. If you want to know more about a particular MW theme, you do not have to view the demo to find out. Just look for it on the blog and read what you need to know. 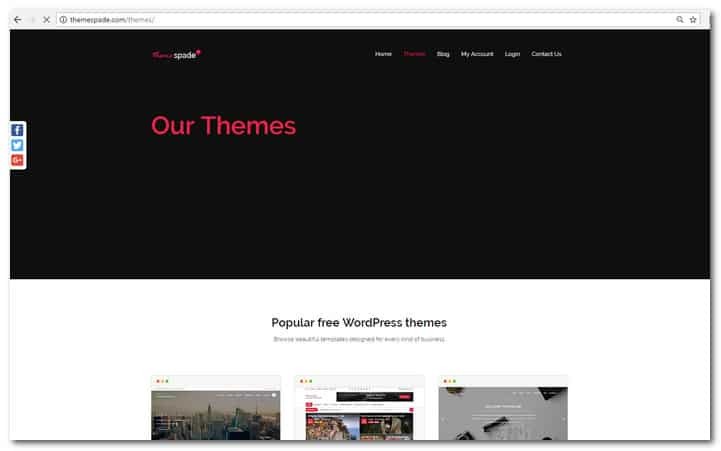 Theme Spade is a home for free and premium WordPress themes. Their most popular themes are stunningly designed to fit all kinds of business. They also have modern features such as retina display, responsive design, SEO compatibility, easy customization and incredible support. They are also active on social media. You will find them on Facebook at https://www.facebook.com/themespade/. Pixel Tribe creates free WordPress themes for bloggers, designers, photographers, freelancers and real estate. Their themes have been downloaded 117, 015 times and that number continues to rise. If you want to be updated on their latest themes and updates, you can subscribe to their newsletter, which will also provide you with %10 discount on your next purchase of Pixel Tribe premium theme. Stunning design coupled with perfect and simplistic code has become a reality with Asia Themes. Their themes have a flexible framework with intuitive theme options to make them easy to customize. You do not have to contend with CSS or wrestle with codes to change styles. All can be done with options that are already included with the package. The Asia Themes website includes a blog, payment options and support. 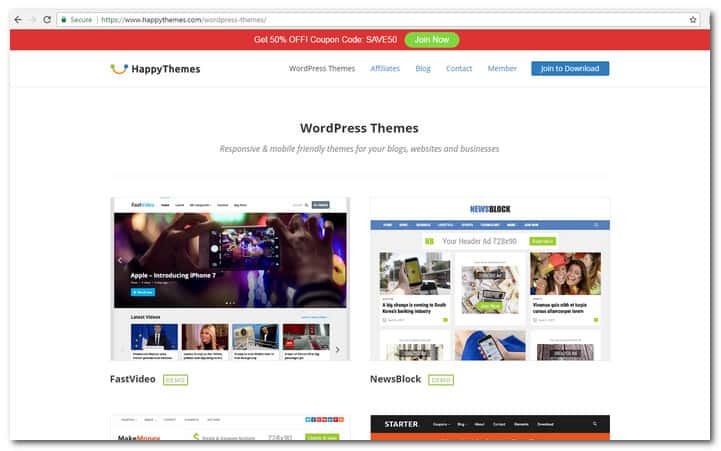 This website provides not just free WordPress themes but also plugins, tutorials and support. 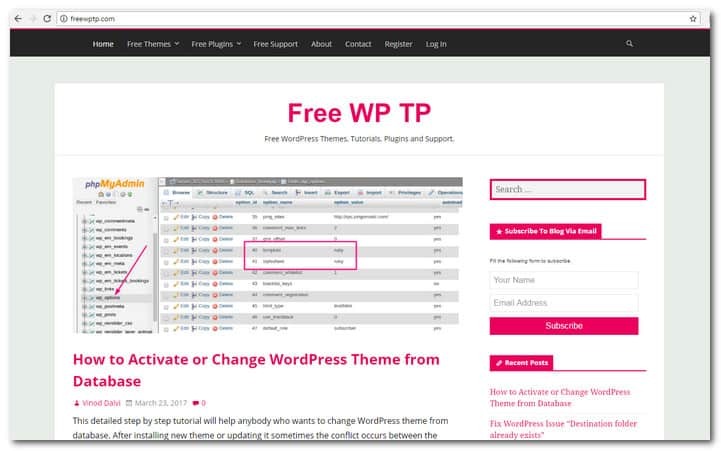 In fact, Free WP TP is actually an initial for Free WordPress Themes, Tutorials and Plugins. The team behind it all is composed of WordPress developers, weriters and designers that have provided free WordPress resources since 2015. If you are looking for WP listings and tutorials, this website is a great resource. Support is free as well. Just access their support forum at http://freewptp.com/forums/. 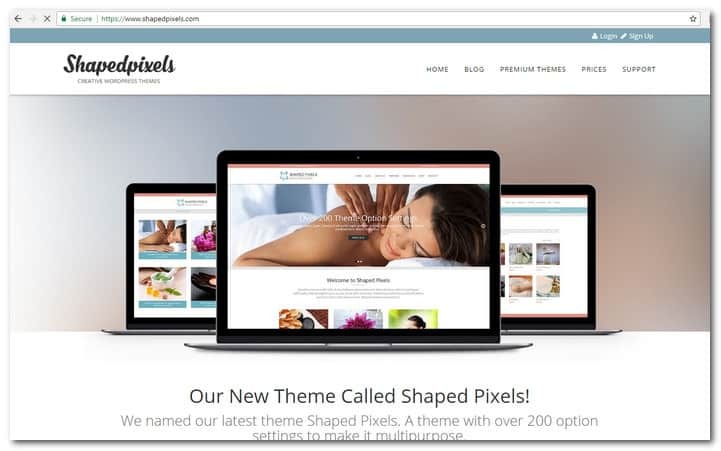 Pixel Grade provides WordPress themes that solve digital problems for real. They help clients succeed in the modern world by making solutions that will improve life meaningfully. Pixel Grade is driven by several values. They are team driven, continous to improve themselves and make them accountable to people. At all times the goal of Pixel Grade is to stand by its actions. 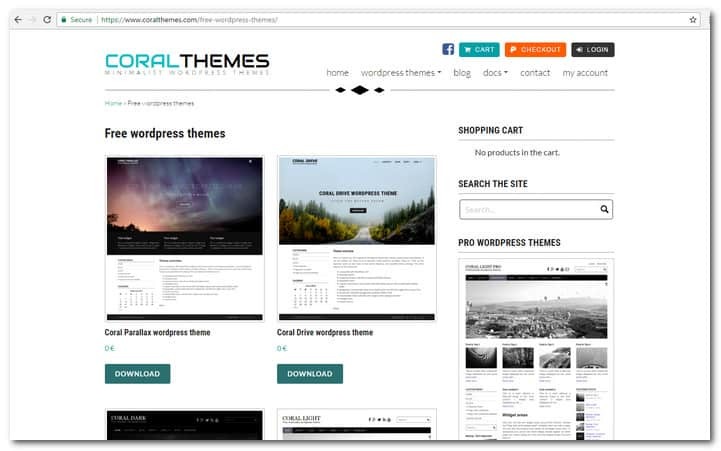 At Coral Themes, you can download free responsive WordPress themes that feature social icons, dropdown menu and slideshow. If these features are not enough for you, you can take a look at their premium offers. When you donwload one of their themes, you do not have to register. They will not ask for sensitive information as well. If you are going to purchase a premium theme payment security is provided by PayPal. The vision of After Image Designs is to create a place for developers, designers and thinkers that are passionate about their craft. What makes them different is that fact that they text each one’s ideas and motivate each other. The expertise that you will find on this website includes graphic design, WP theme installation, plugin setup and web development & maintenance. The main consideration of Zylo Themes is always customer satisfaction. They develop themes for WordPress that are easy to customize and user friendly. There is no need for codes. All their themes are based on CSS 3 and HTML 5. They are cleanly coded, accurate and compatible with modern browsers. Zylo Themes categories include Corporate, Multipurpose, Medical, Business and Free. They also have an informative blog. PWT Themes is unique because of their stunning design, mobile compatibility and excellent support. Their themes are trusted by thousands of users because of their awesome features. Searches are done accurately while browsers are connected fast. The themes provided by PWT feature responsive design, easy and quick setup, browser compatibility, money back guarantee and round the clock, all days of the week support. 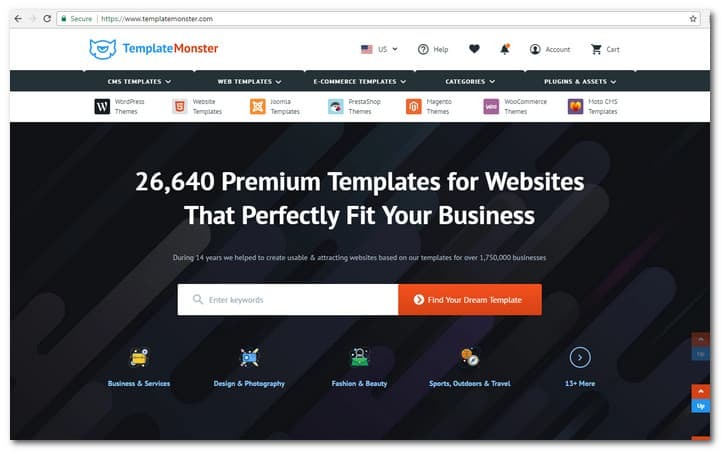 Template Monster develops both free and premium WordPress themes. Since 2006, you can find free theme designs that are fully responsive, based on open source Cherry Framework and WPML ready. The free themes provided by Template Monster are created with the same care as the premium versions. However, they do not provide support for their free items. The template provides template customization services, source files, free licensed stock photos, personalization and special offers. 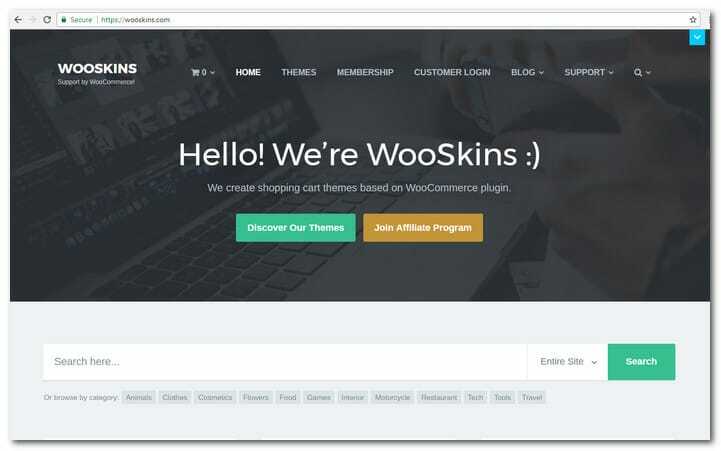 Wooskins create beautiful shopping cart themes based on the highly popular WordPress plugins Woocommerce. They support newest version is available on Facebook, on Twitter and on Google+. 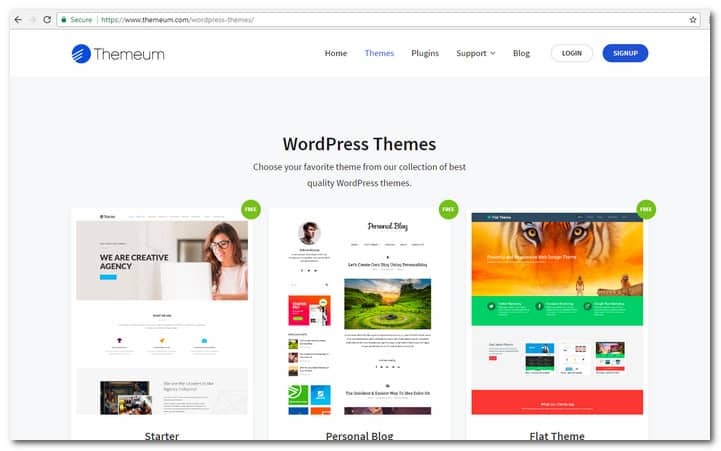 Themeum provide themes that are optimized for search engines, fully responsive, highly customizable and updated regularly. Aside from themes, the website also provide custom plugins and web apps that will make their designs more efficient and effective. Themeum has a dedicated support theme that will respond to your issues quickly and resolve any problem like magic. The team behind L Theme is a fresh and talented one. The members are of different nationalities and provide professional website design services for clients. They want all businesses to have the best solution for web design. Thus, L Theme provides professional marketing and web design training for those that want to improve their skills or start a free lance web design venture. Graph Paper Press is a digital agency that is based in New York City. It utilizes bright technology and design for creating enduring and amazing sites for creatives. Graph Paper Press has been working with startups, individuals and businesses to allow their dreams become realities. They specialize in top quality themes and plugins for WordPress, eCommerce, mobile responsive layouts, conversion optimization, UX design, content strategy and marketing automation. With Zolo Themes, you can have unlimited designs, instant answers, limitless headers, upgrades for life, one click demo import and free plugins. A dedicated support is available through a forum. Just submit a ticket and a solution will be provided within 8 hours. You can also view theme documentation from the website. Kadence Themes operates out of Missoula, Montana. They create professional and clean themes for WordPress that will help you build stunning sites. At present, they have a couple of free themes that are updated regularly. They also provide plenty of support for free on WordPress.org. 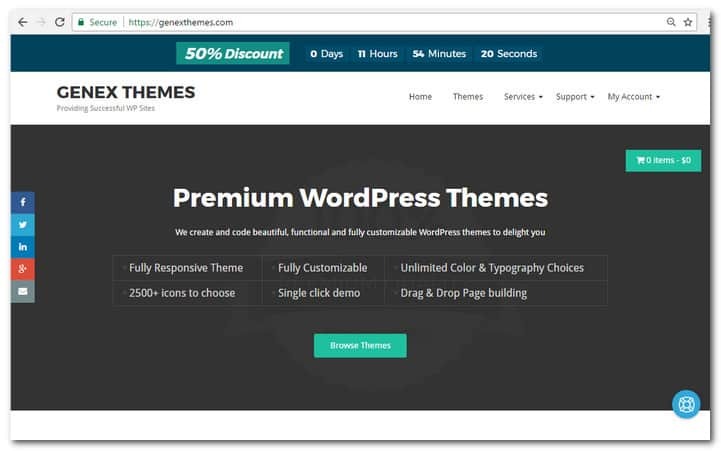 additional support is given to premium theme buyers. Catch Themes belongs to Catch Internet Pvt. Ltd and concentrates on building minimalistic and simple WordPress themes that are rich in content. They complement their creations with user friendly interfaces, WordPress Theme Customizer compatibility and top notch support. 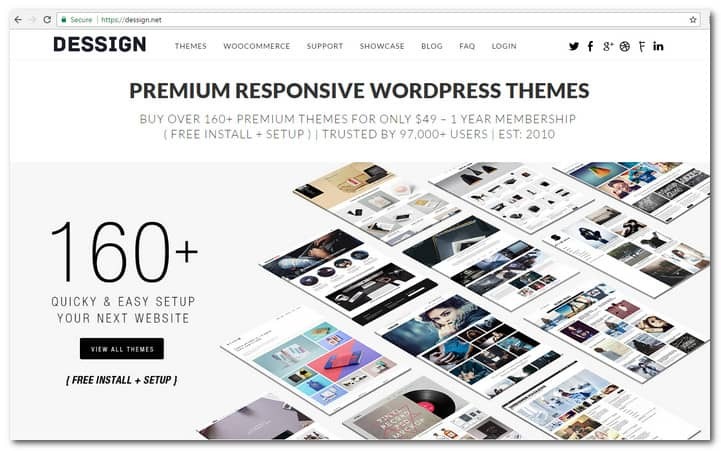 You will find 27 premium designs on the Catch Themes website as well as 25 WordPress themes that can be downloaded for free. There are also 4 plugins for WordPress that are available free of charge. Lyra Themes provide designs that are so pixel perfect you can launch your site in minutes. Fast support is there every time you need it. All of their themes are professionally designed, very customizable and coded with the best industry practices. 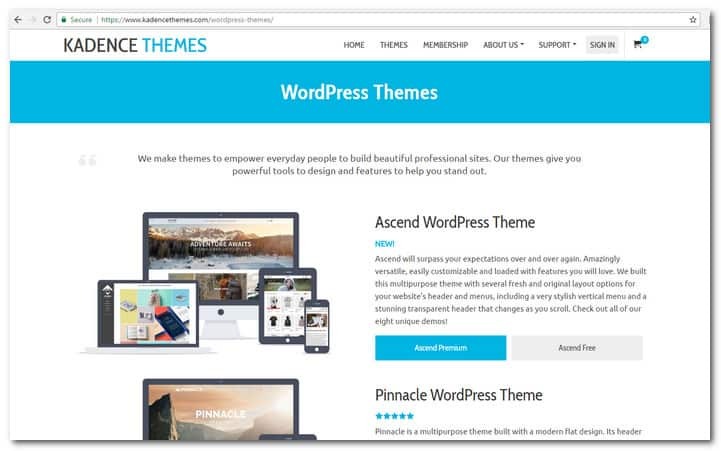 All of the themes provided by Lyra Themes work right out of the box so whether you are a developer, designer, blogger or small business owner, this website is perfect for you. The G stands for Gonzalez. 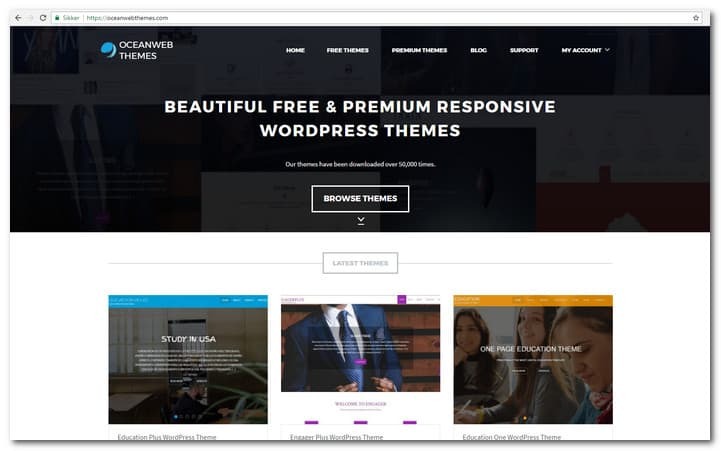 This website is actually a blog, which offers a free WordPress theme. It also has a section for articles where you will find original posts, pointers to different articles, Cafepress templates and tutorials. 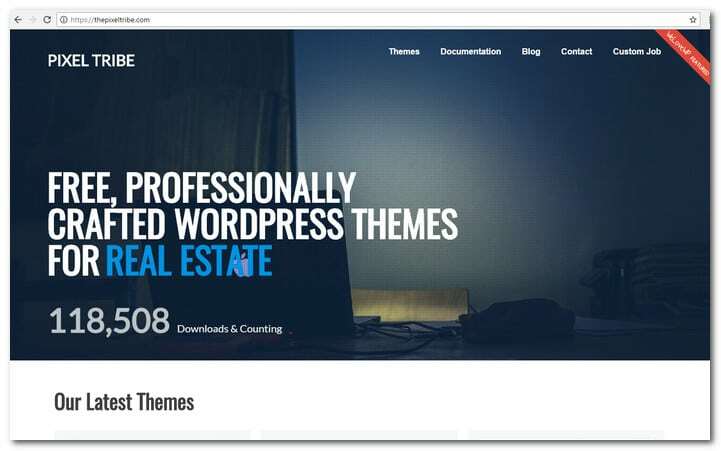 A subdomain maned wpthemedemo has a theme preview that is complete with theme switcher. They can be downloaded for free. 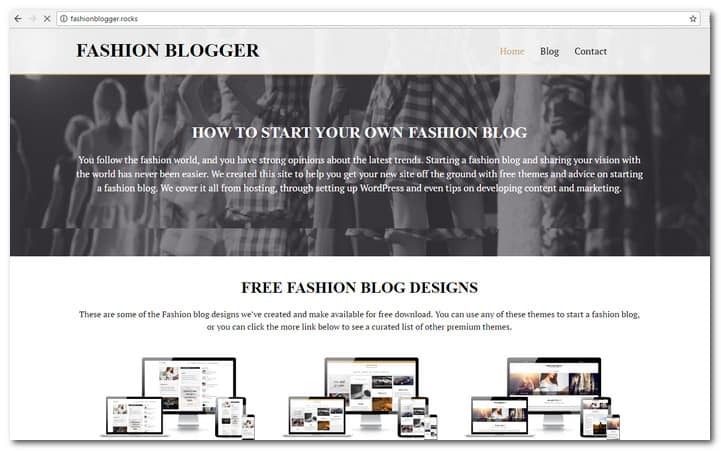 This fashion blog provides a number of fashion blog themes for free download. You can use any one of themes to create a great fashion blog. The website also provides advice on how to start a fashion blog successfully. Everything has been covered from hosting to WordPress setup. You can even find content and marketing development tips. 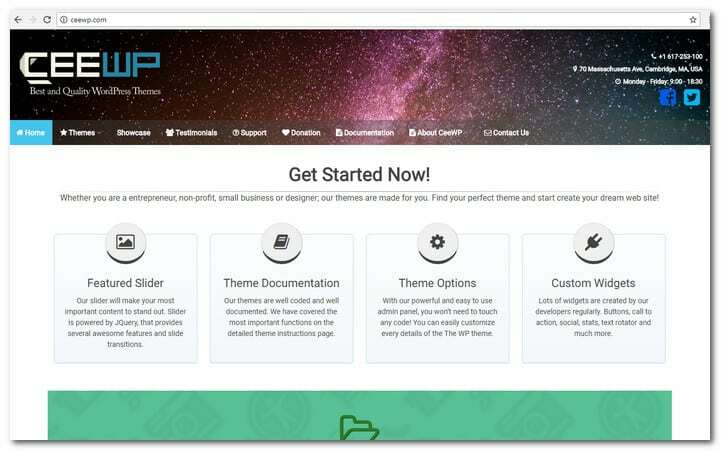 If you created a free theme that you want to promote, you can do it on this website. The service is completely free although they will review your submissions manually before it will be published. Some rules to follow though; premium versions are not allowed. Your demo URL should be the link to the theme preview and not the page for the item. You may also utilize images in your server content. 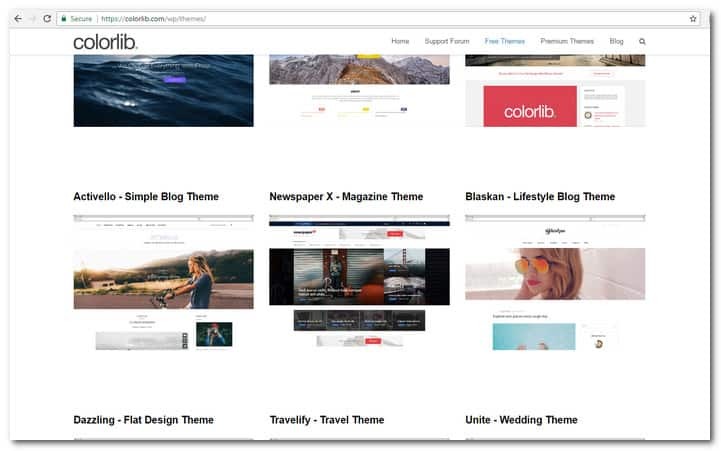 If you feel that you are combining several borrowed components together instead of creating a really unique website, Tidy Themes is the place for you. They create clean, minimalist and simple themes using valid codes. Each design is SEO friendly and fast loading. Styling and customizing the theme is entirely your decision. When they created their first free blank WordPress theme, it was entirelty open source, has no visual CSS styles whatsoever and totally free. Mina Themes provides layouts that come with different font sizes, unlimited colors, Google fonts, social icons, translation, image slider, custom post types, WooCommerce, scroll animations, scroll to top, customization, Font Awesome, sidebar position, SEO options, ads field, custom CSS, custom JS, amazing shortcode, responsive design and HTML 5 code. 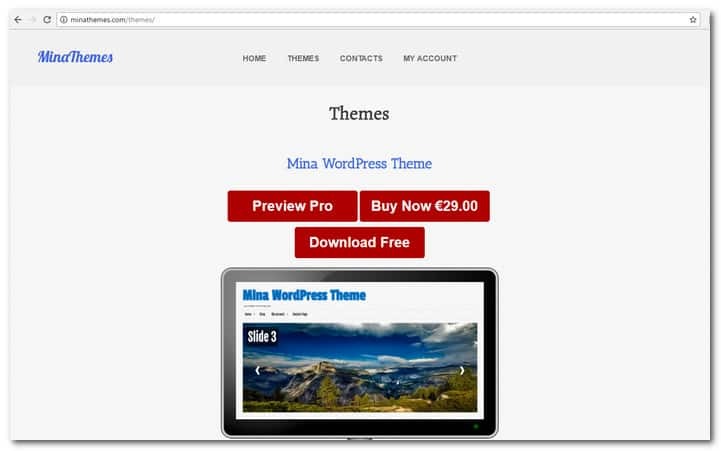 Mina Themes provides both premium and free WordPress themes. 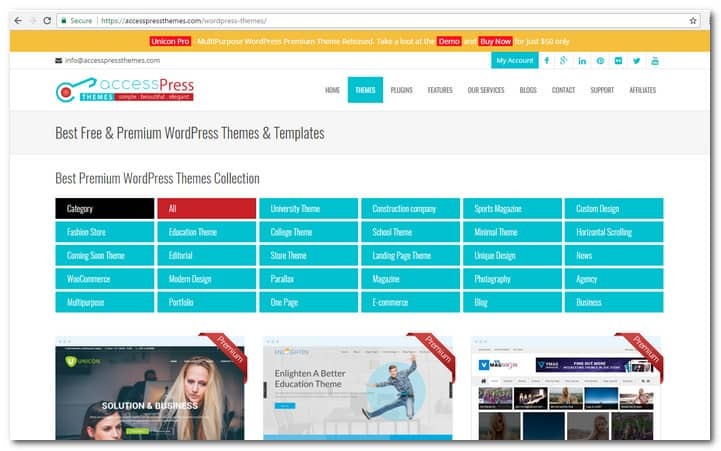 This website is managed by WordPress developers that are passionate about building elegant, light and amazing themes and HTML templates for WordPress. It has a dedicated support staff that is always ready to help you with WordPress issues. Their offerings include Better Health HTML Template, Capacious HTML Template, Biz One and Quality Construction. If you choose to get fresh ideas, inspiration and news directly to your inbox you can avail of a subscription. 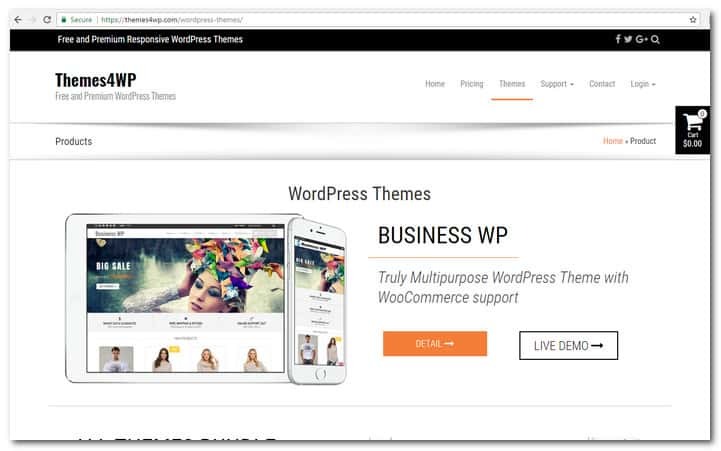 Theme in WP believes that you deserve WordPress products that are meticulously made, easy to setup, user friendly and simple to maintain. They provide a fast and easy install, which you can do in 5 minutes. In case you have issues, you can just ask their support team. However, if advanced customization is a requirement, they have a theme customizer that is available for fee. The themes provided by the website are lighting fast, SEO friendly and mobile responsive. Theme Bear provides amazing themes that are ideal for all kinds of niches. They regularly increase their product portfolio and launch fresh themes. If you sign into the club, you will be granted free acess to every new product they have at the time you subscribed. With their vast collection, you can start a blog site, market product on the internet and showcase your work through a portfolio. Hug It constantly measure and evaluate the requirements of online users to come up with top notch services. 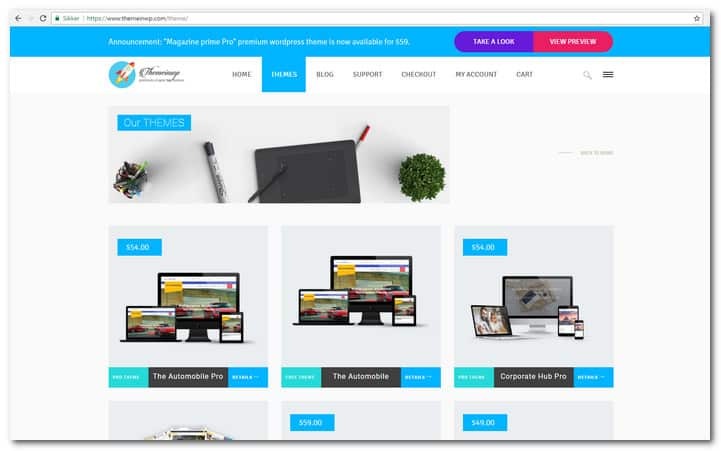 By using their vast experience with clients, seasoned staff and large quantity of orders, Hug It is able to provide premium themes that are affordable. If you are a corporate customer, they have a special discount system created just for you. Tishonator was tarted by Tihomier Ivanov from Sofia, Bulgaria. He is a gym enthusiast, minimalism fan, vegan and WordPress web developer. He also loves reading books and watching great movies. The team he leads is small and focused on creating cool themes for WordPress. They follow the recommended guidelines set by WordPress and thus has a lot of free themes that are approved and published on the repository. 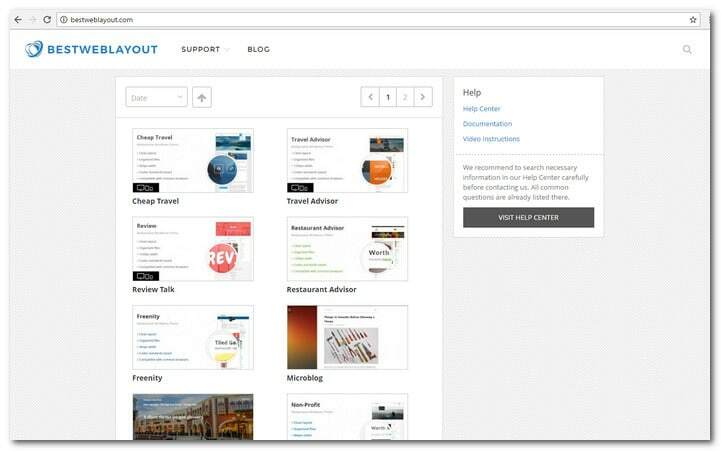 Cryout Creations build WordPress themes that fully customizable, responsive and can be downloaded for free. If you want to know them, head over to the company website. The team behind the website spends its time bugging, debugging, providing support, responding to forum posts, ingesting coffee, casting spells, dismembering zombies and getting headshots though not necessarily in that order. That may sound like they are not serious about their craft but they do love their work and put a bit of their soul to each code they write. 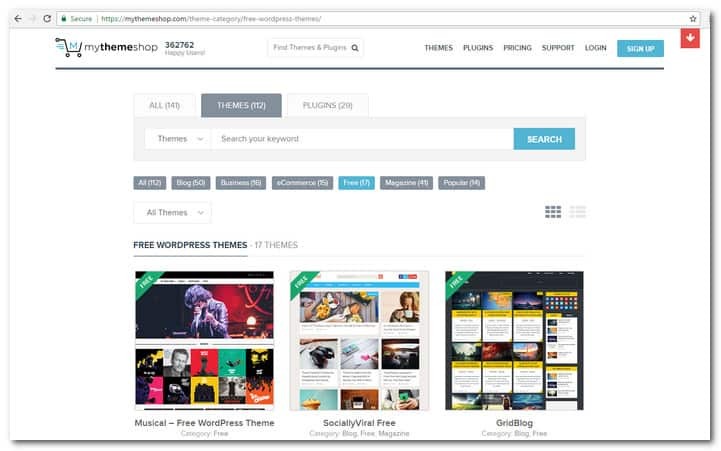 CPO Themes provide robust and original themes for WordPress. They focus on creating the best premium and free WordPress themes on the net. If you want to gain access to their whole collection, get a subscription. The themes provided by the website are responsive, quick to install and update, integrated with smart content management, user friendly, integrated with plugins, and supported by an extensive knowledge base. CEEWP provide WordPress themes of the best possible quality. 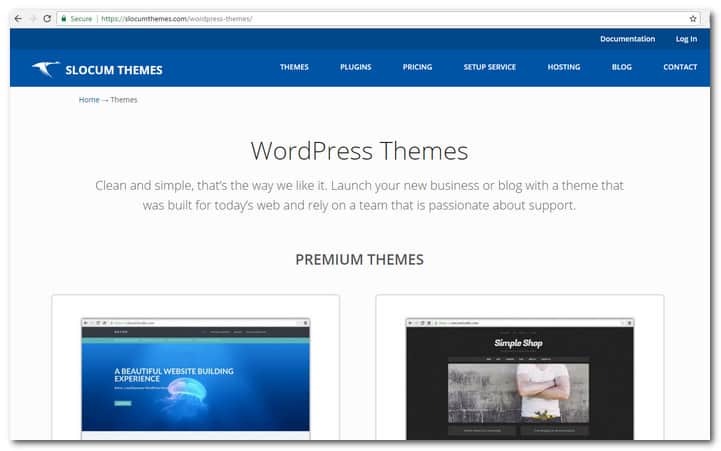 Their free themes have been chosen and included in the WordPress Theme Repository. At present, they have built over 15000 sites all over the planet. All themes provided by the website are under GNU GPL license. They do not contain malicious codes and can be downloaded and used freely and safely. 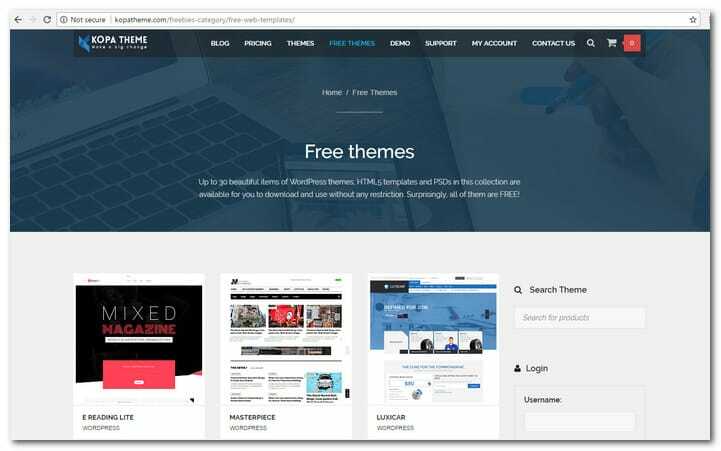 Theme In Progress provides more than 10 WordPress themes and plugins that you can downloade for free with no email required. If you want a free WordPress theme for your blog or website, they provide a variety of professional designs that will suit your requirements. Theme In Progress specializes in clean formatting to make it easy to navigate your website. Every Theme can be used for both commercial and personal sites. 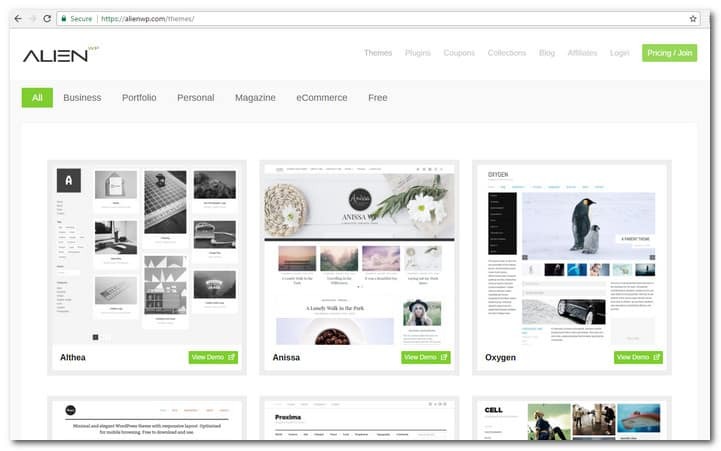 Tidy Hive provides both premium and free WordPress themes. They also have a great blog page that features several tutorial posts as well as freebies, themes and resources. The most recent posts on the blog include How to Schedule your WordPress Posts, How to Remove Page Titles from WooCommerce Pages, 10 Websites to Find Free High Resolution Stock Photos, 5 Fre Perspective Mockup PSD’s to Showcase your Website Design and How to Add Pagination to WordPress. 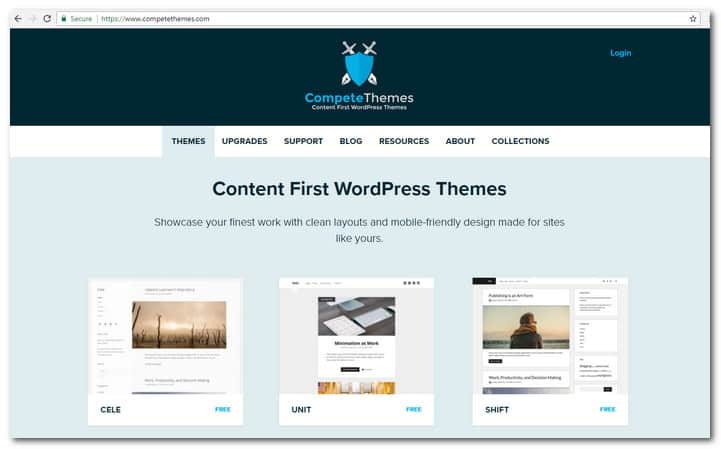 Compete Themes provide themes, upgrades, support, blog, resources, about and collections. Their free WordPress themes put content first to allow you to showcase your best work with responsive design and clean layouts. At present, they have 14 free designs that have been downloaded more than 800,000 times. You may use each theme on as many website as you want for as long as you can. Daisy Themes designs are pixel perfect and come with amazing support. Their free WordPress themes are well known and have been used by more than 400,000 websites. 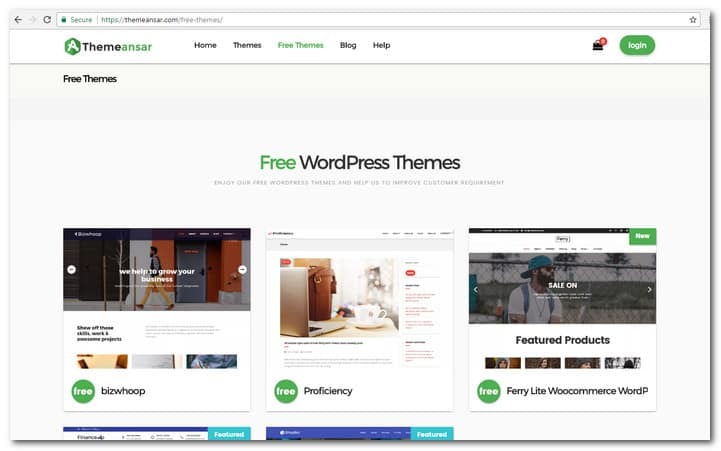 There are 7 free WordPress themes that are featured on their website. You will love their professional design, easy customization and great support. The themes also come with an awesome theme customizer. 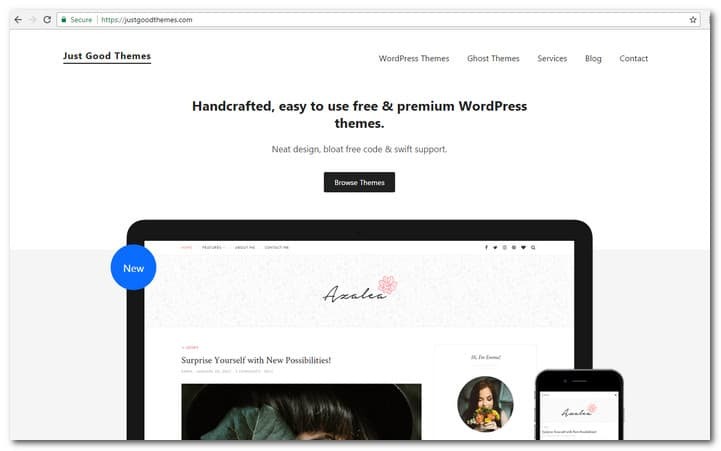 This website provides handmade premium and free WordPress themes with neat design, fast support and bloat free code. There are several principals that are built into each theme. It should be simple, responsive in design, accessible and quality coded. Every fresh theme must be better than the previous ones. The same principles are applied to the fast and friendly support provided by the website. Theme Horse is an online shop for clean, simple and stunning themes for WordPress. The themes are incorporated with a number of features and options that can be customized easily. Both premium and free WordPress themes are backed by great support. The standard theme features include custom header, custom menu, custom background, threaded comments, translation support, custom favicon, custom CSS, custom webclip icon, cross browser support, custom widgets and social profiles. 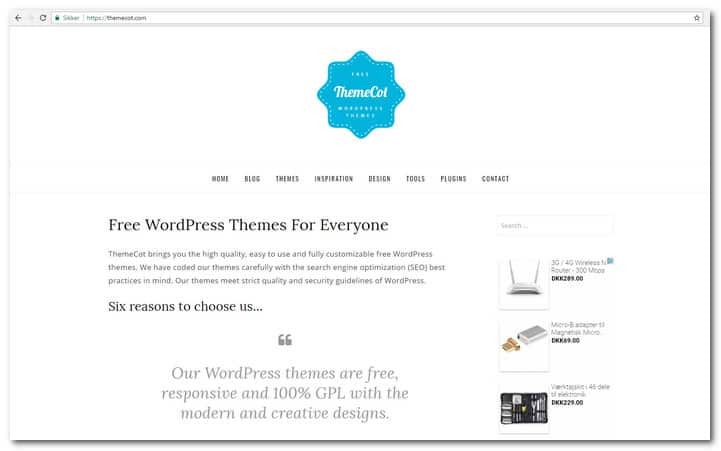 ThemeCot provides free themes for WordPress for everybody. Although free, each theme is easy to use, fully customizable and of the best quality. All themes provided by the website have been coded using the best SEO practices. They also fulfill the stringent security and quality guidelines set by WordPress. The website also has a blog that could provide a lot of information about WordPress. 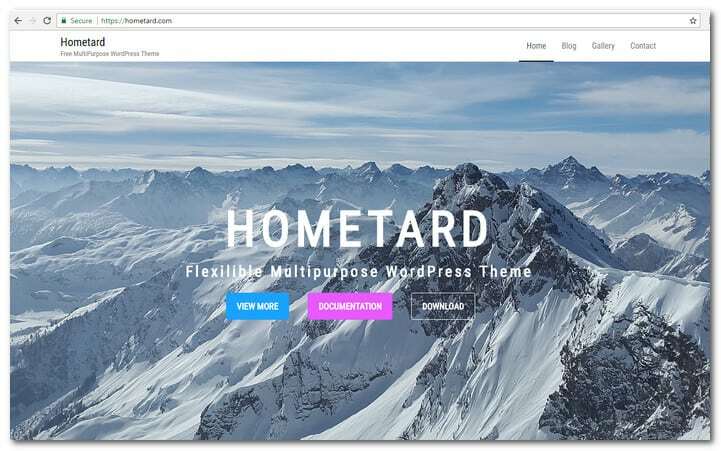 This is the website for Hometard free WordPress multipurpose theme that was developed for KingComposer free page builder. The theme is ultra light and focused on speed and SEO. It is responsive, simple, fast loading and clean. If you use the theme and need some support, you can get in touch with the theme author through this website. 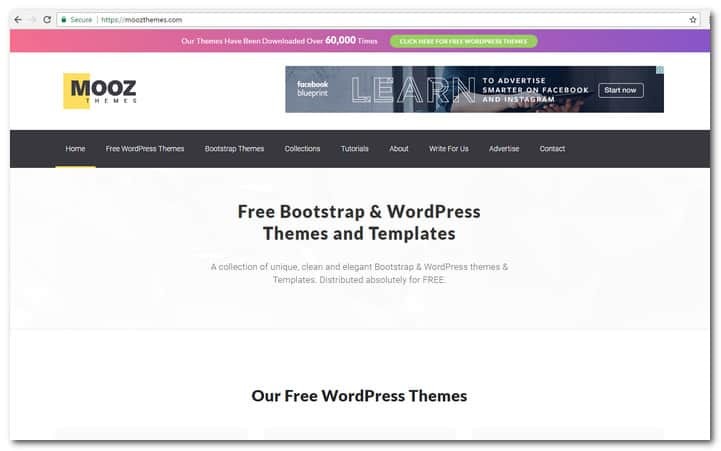 People looking for free themes and templates for WordPress and Bootstrap will find Mooz Themes perfect. Its collection of Bootstrap and WordPress themes and tempaltes are clean, unique and distributed totally free. The themes are licesned under Apaceh License v2.0, which allows you to use the themes for both commercial and personal endeavors. You can also customize, update and modify the theme to your needs. The aim of this website is to provide totally unique WordPress themes that you can have right away. They have designs for blog, business, eCommerce and business websites. Theme Caliber themes are cross browser compatible, fully responsive and search engine friendly. The support is 24/7 with technical specialists providing professional help anytime you want it. 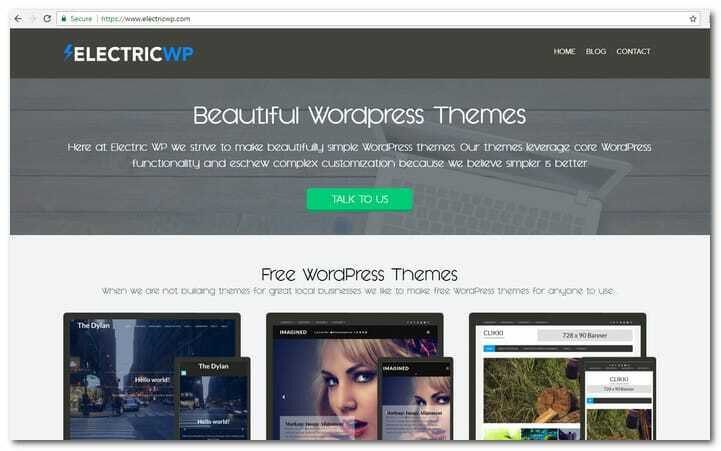 Simple but stunning WordPress themes are the forte of Electric WP. The designs leverate the core functionality of WordPress, avoiding complicated customizatio process because they believe in simplicity. The website pushes DreamPress for hosting. But it is not the only option so they provided a comprehensive article about the best WordPress hosts from WP Dev Shed. 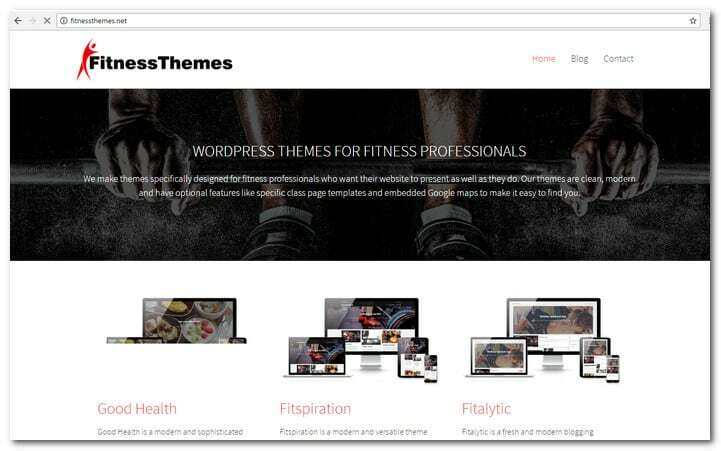 Fitness Themes is all about fitness professionals. They provide a free custom theme and advice for fitness pro hosting. If you operate a website by yourself and do not want to worry about web hosting, you can take a look at their WordPress Hosting Reviews link. Fitness Themes also provide links to compatible plugins including Health Tracker, Booking Plugin, Hospital and Docotor Directory, Instagram Feed Plugin, Class Timetables and Social Login. 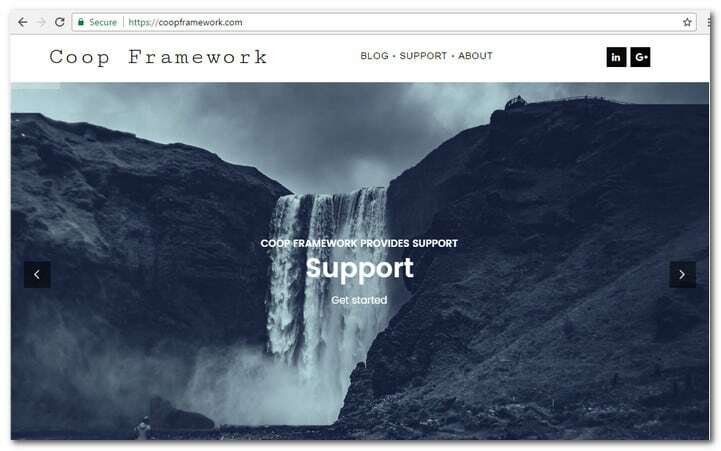 Cop Framework is a blog and command center for LAMP stack based projects that concentrates on WordPress and other open source platforms. The blog page is where you will find documentation, important links and status updates. If yo uneed a web expert, Coop Framework has been providing that specialty since 2009. 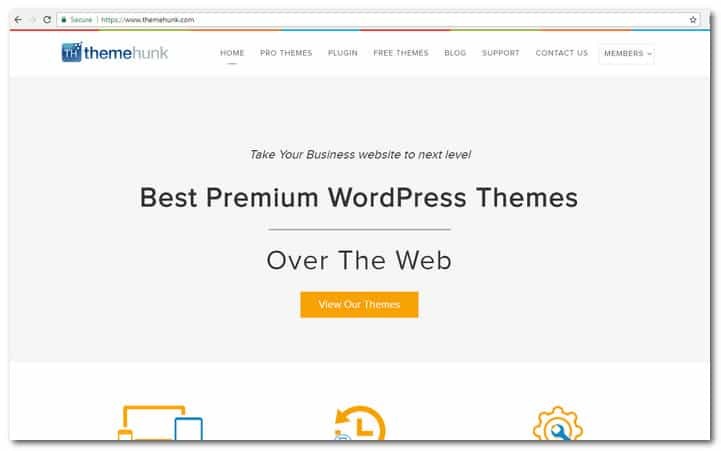 Think Up Themes create great WordPress themes that are both stunning and user friendly. You can make a lot of customization and exert plenty of control right from the theme control panel. The theme pages include Themes, Pricing, Freebies, Contact, My Account, Training Courses and Affiliates. They also have a Contact Us page that you can use for your quiries. Ocean Web is all about free and stunning responsive WordPress themes. 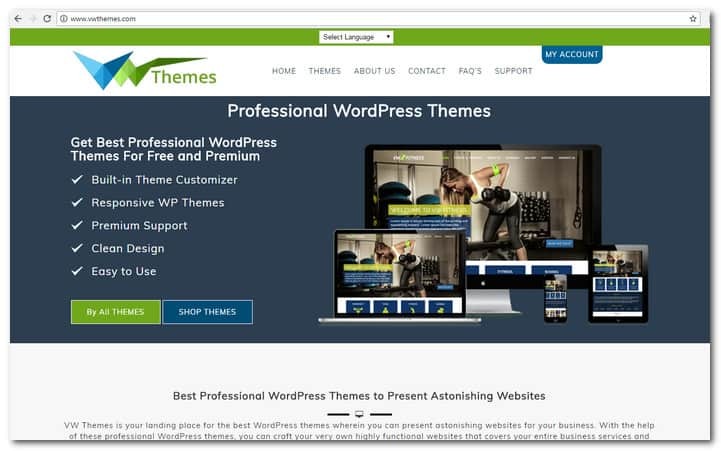 At present, the website provides 11 free WordPress themes that have been trusted by 50,000 users. It also provide links to blog, documentation, support and contac pages. From the blog, you will find practical posts on How To Test The Speed Of Your Website, What Yo Uneed To Learn About The Most Popular HTML Validators, 7 Reasons To Make Your Website More Accessible And Best Mailing List Management Plugins 2017. 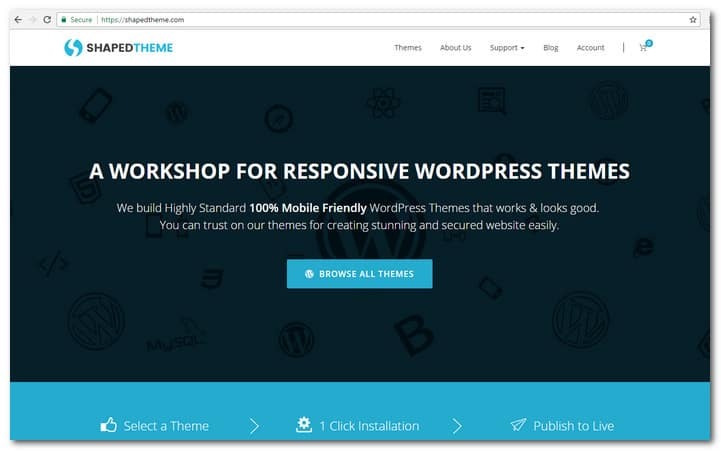 Shaped Theme is a workshop for responsive themes for WordPress. 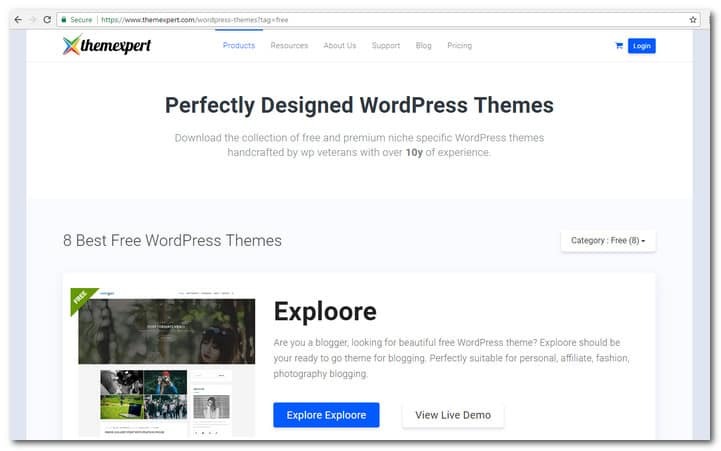 Shaped Theme is named as such because they believe all WordPress Themes must be shaped to allow tech savvy people to handle their sites easily. 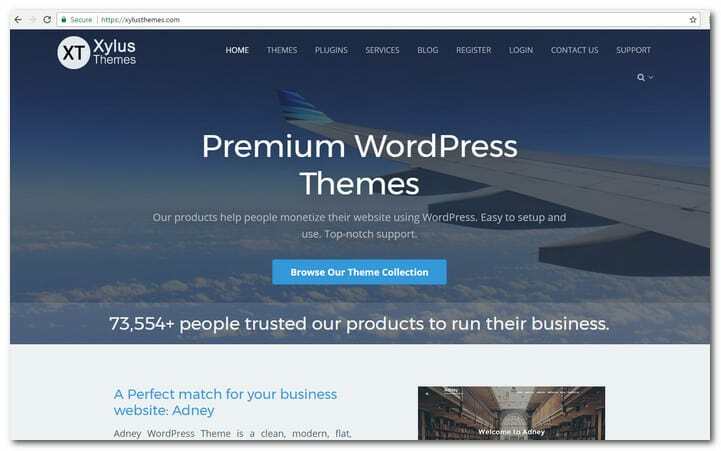 They provide both premium and free themes for WordPress. The focus is to build websites without touching any code. The goal is creat beautiful, responsive and very fast WordPress themes that look and work perfectly. This website provides unique WordPress themes that are within your reach. All of their themes were developed to make your blog, portfolio or business website get the best position on the internet. Their main philosophy is neatness and simplicity. The focus is on bringing content to a higher level in a beautiful way. The website is powered by professional developers and designers that are geared towards creativity. 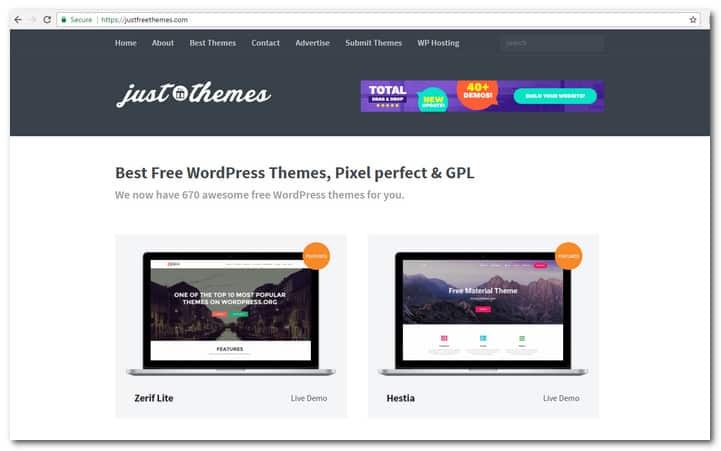 JustPX provides a dozen free WordPress Themes. This website started in 2012. The Price Company took over management in 2017 and relaunched the website that you see today. 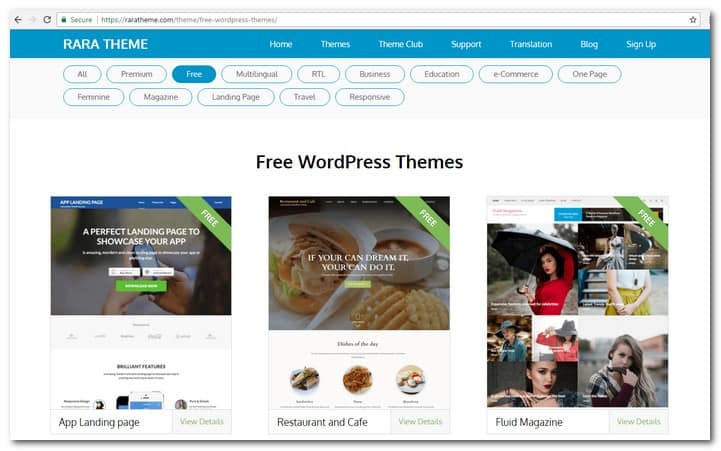 Although the aim is to create the best custom and free WordPress themes, they have plans to include other CMS platforms in the future. Tye also have a project that created a high quality price search engine. The main goal of Theme Hunk is to help build beautiful websites easily for businesses. The company is composed of experience people that take care of multiple WordPress projects easily. They provide the assurance that once you have tried one of their themes, you will not use anything else. 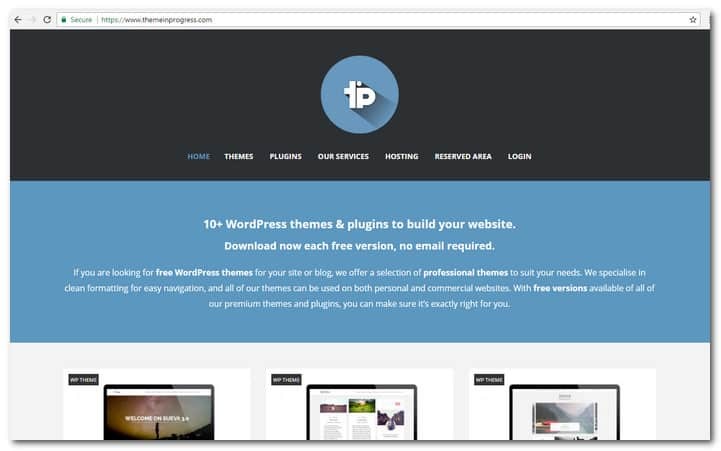 There are currently 13 free WordPress themes available on the website. Thanks for this tutorial! You made it so easy! I searched all over and couldn’t figure out how to do this, and then I found this article. Thank you for giving such simple instructions! Great list! found a number of amazing new sources in this article. I am sure this is extremely helpful for all WordPress users. Thanks for putting up a great list. Love all of them and will be of great help. I use My Theme Shop and FameThemes for all my WordPress sites. Fame Themes has awesome customer support. 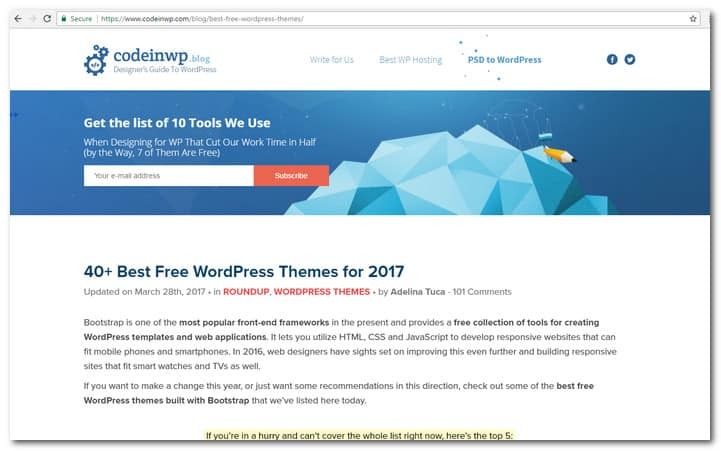 Thanks for including ILoveWP into this amazing (probably even unprecedented) roundup of theme directories!